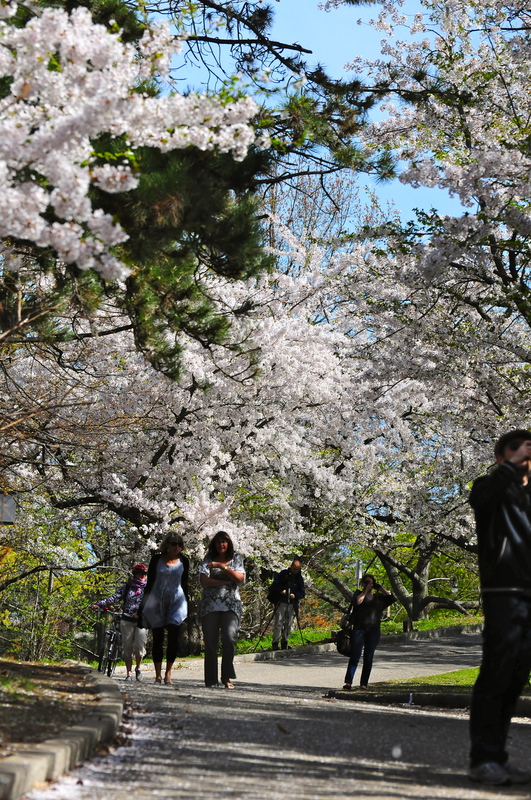 According to the official City of Toronto website , over one million visitors annually come to high park. 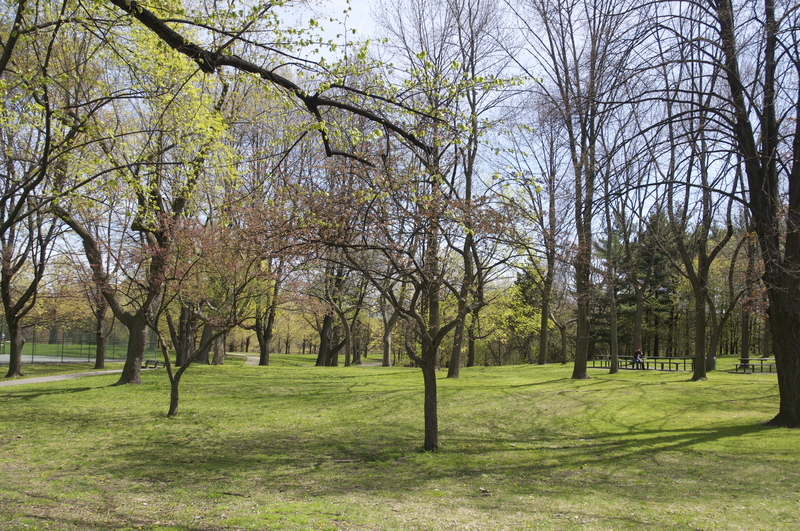 High Park is the jewel of Toronto’s park system. 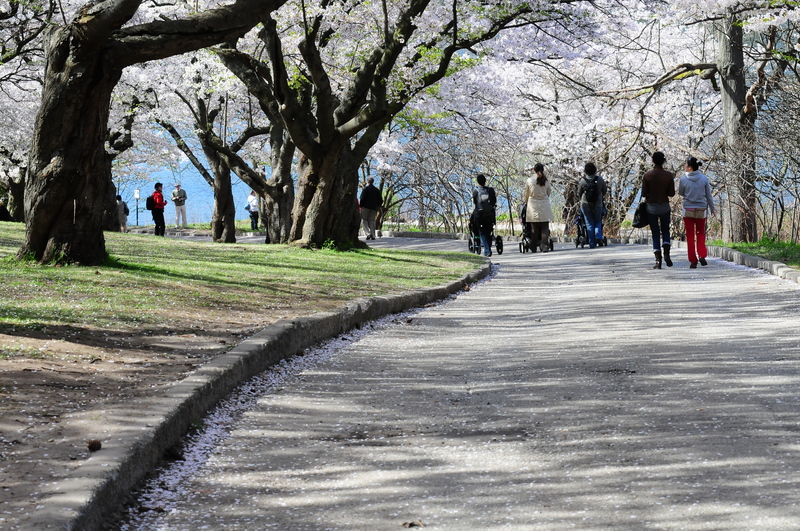 The park, over one-third of which remains in a natural state, is home to many species of wildlife, including birds, fish and animals. 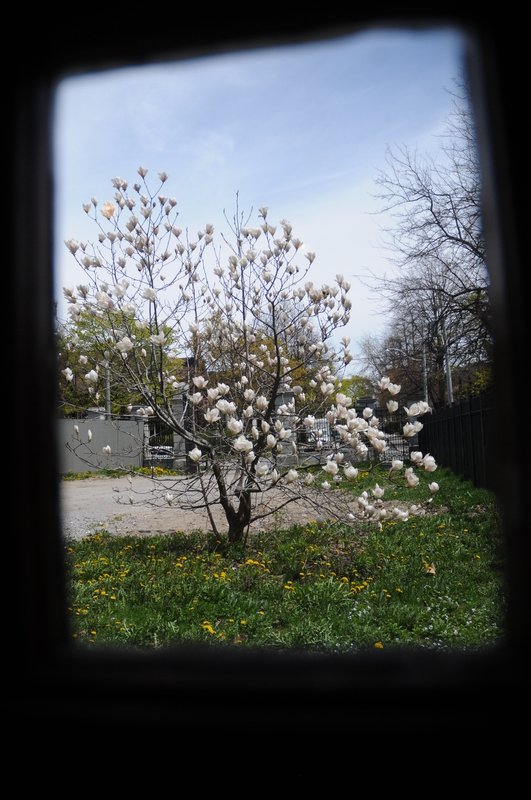 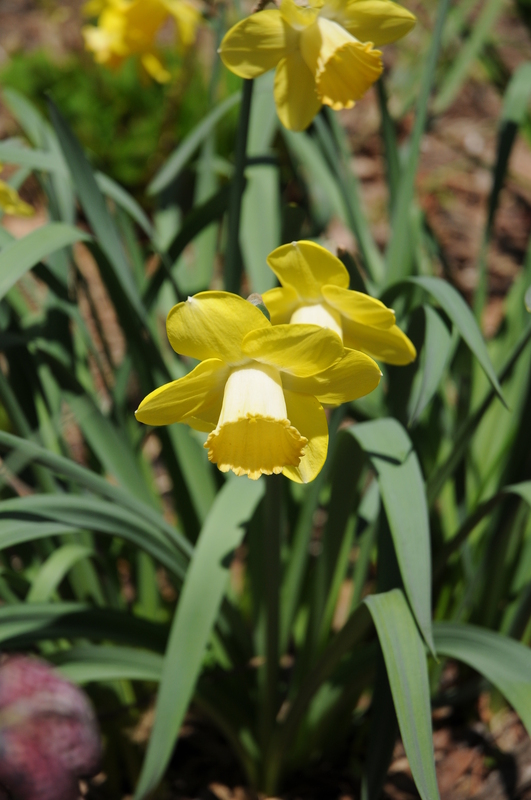 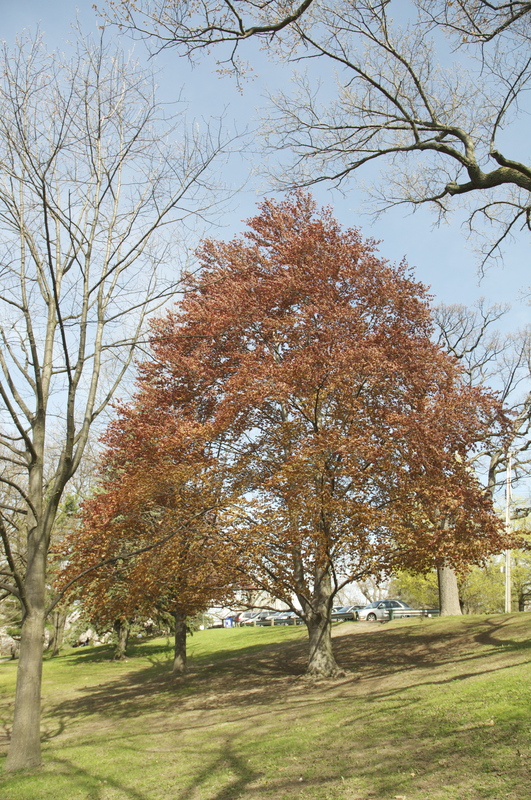 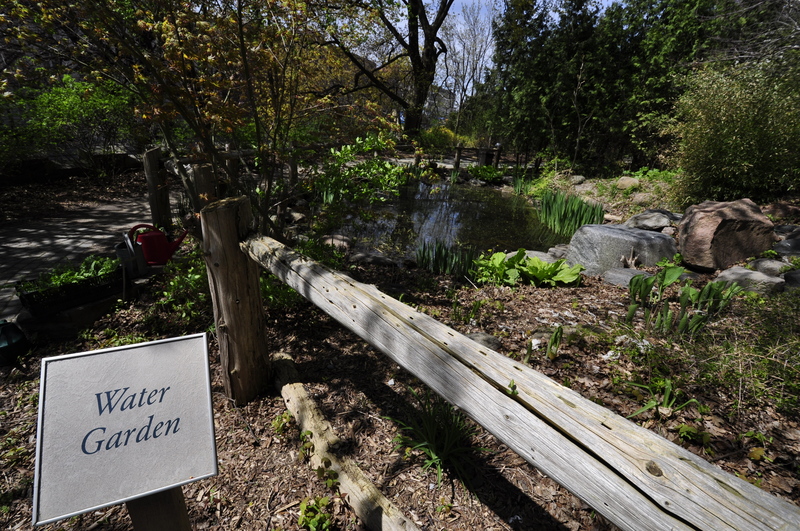 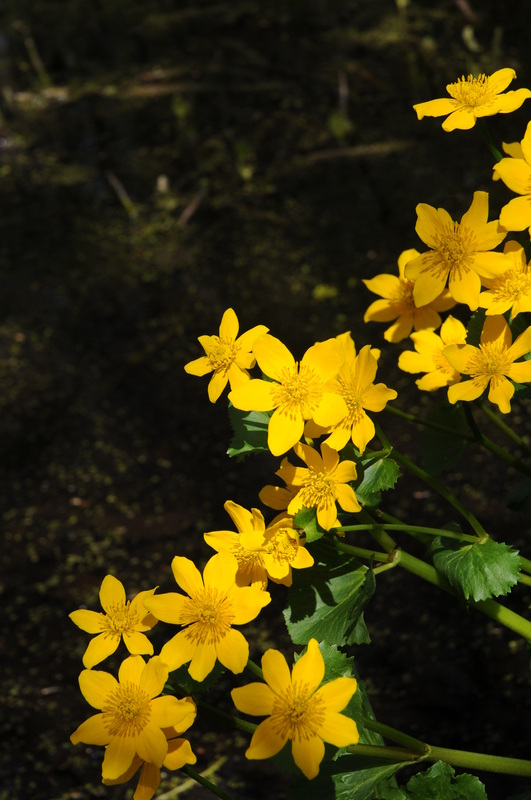 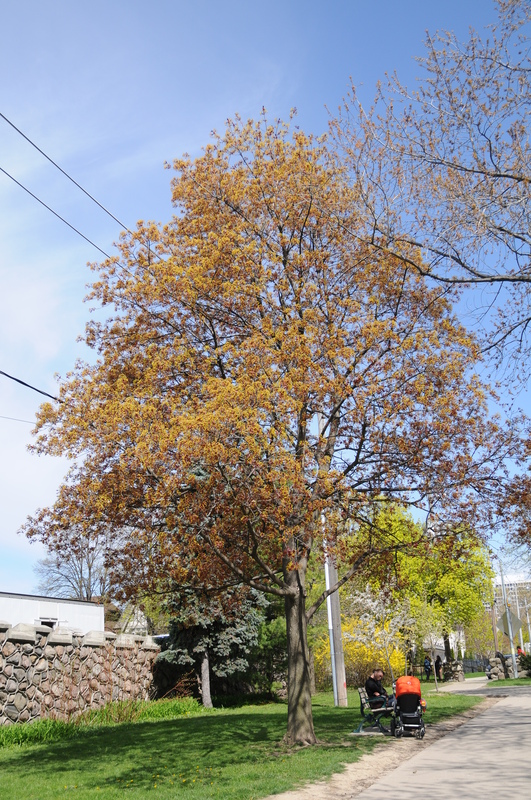 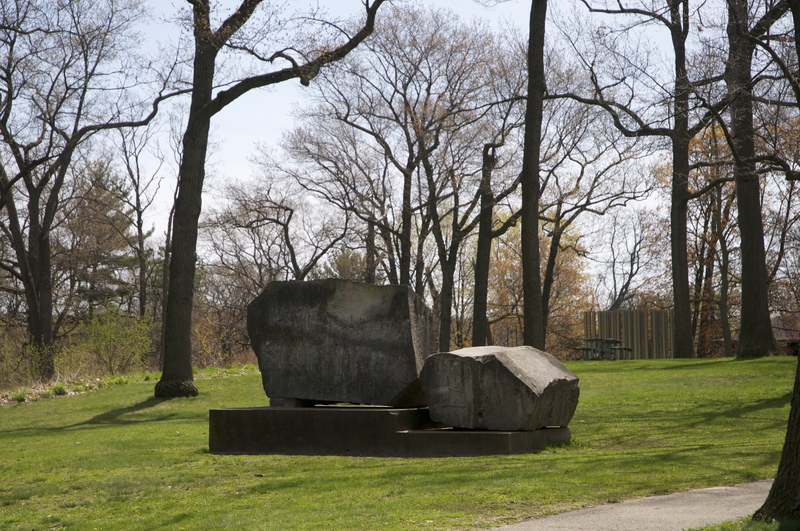 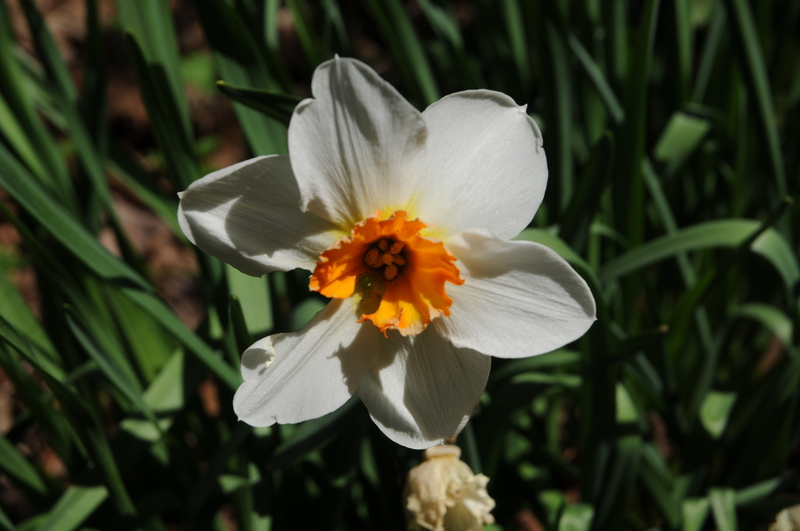 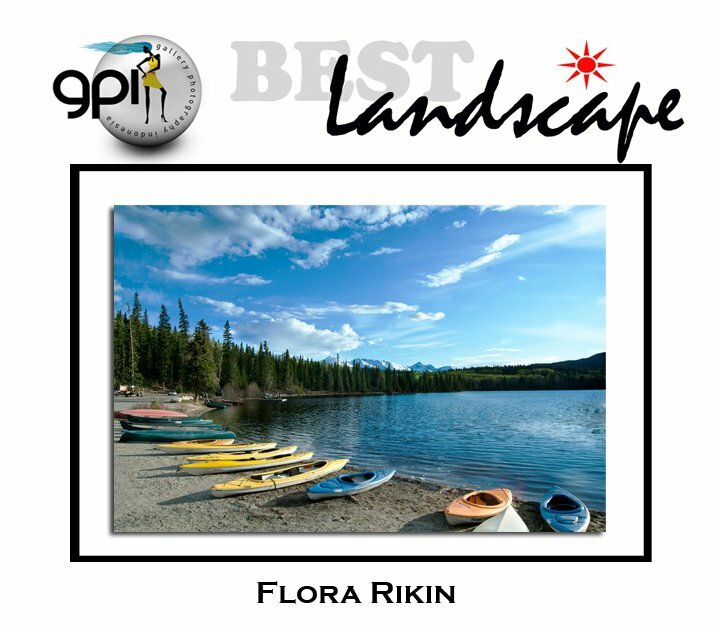 Recognized as one of the most significant natural sites within the City of Toronto, the park contains an outstanding concentration of rare plant species. 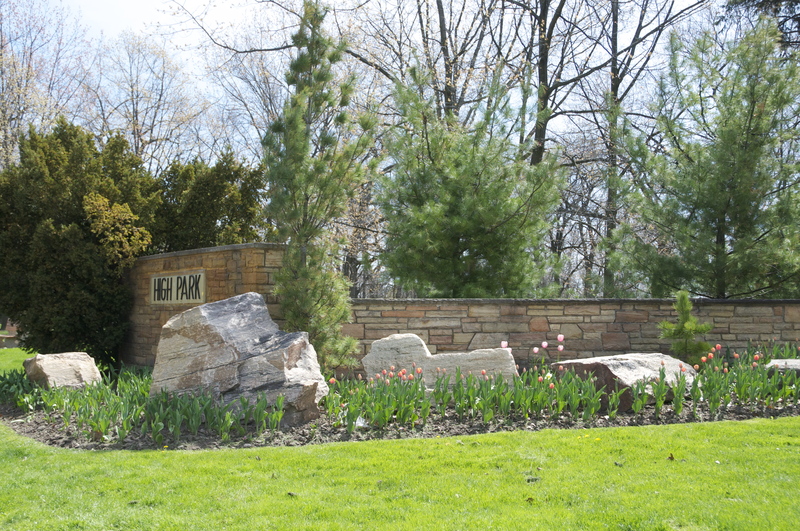 The park offers many popular attractions as well as activities for visitors to enjoy. 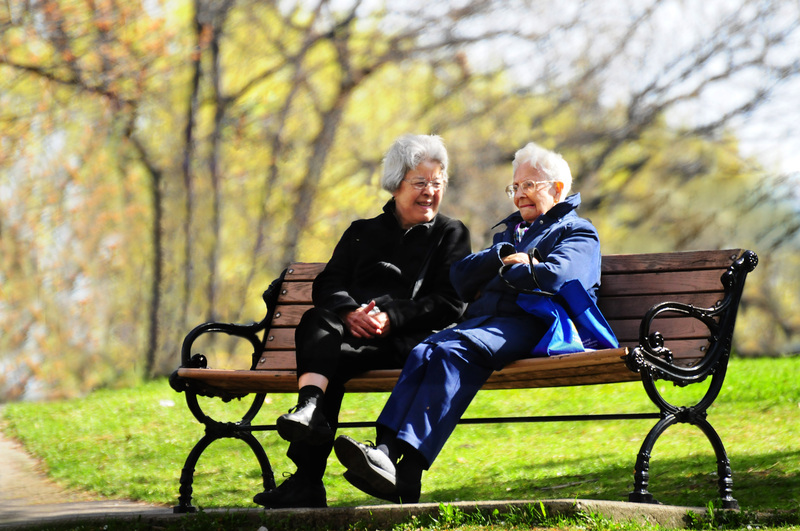 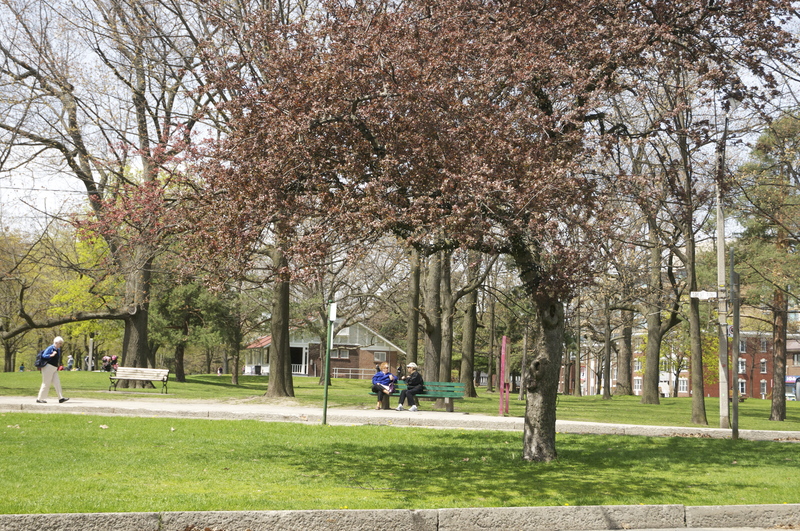 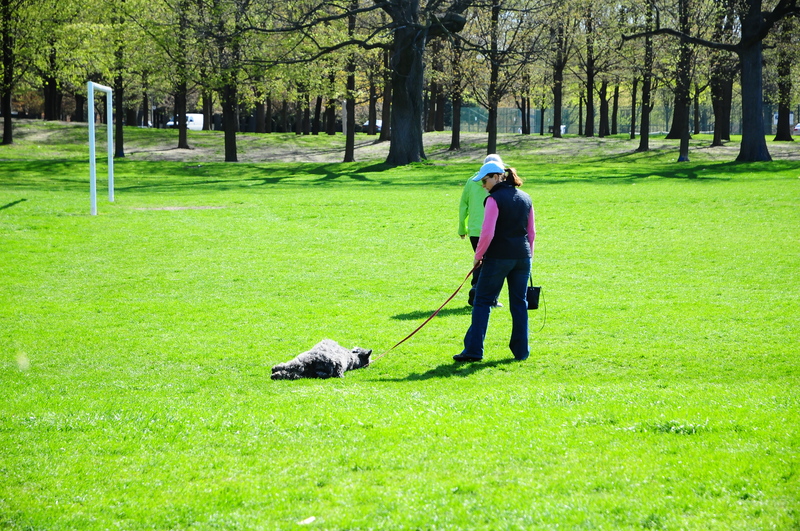 High Park’s 399 acres in the middle of Toronto is an excellent getaway for young and old people equally. 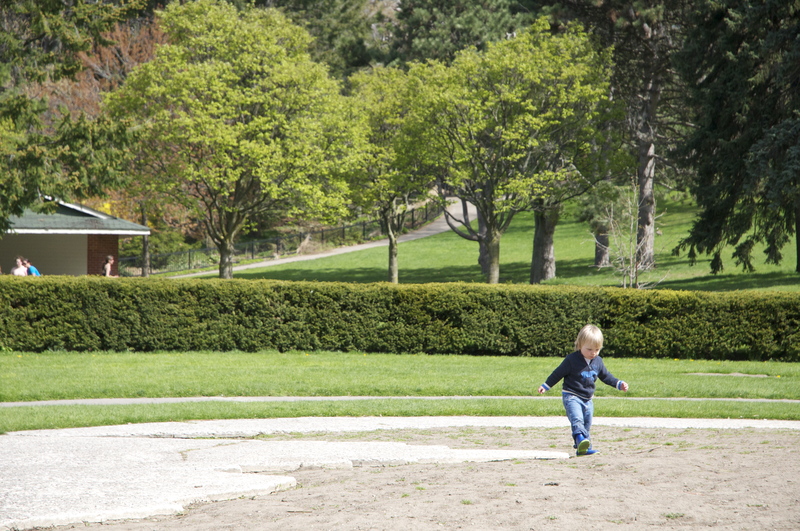 There are many designated children’s playgrounds, sports facilities, 18 picnic areas, hiking trails, large green spaces, waterfront trails, benches galore and the list goes on and on. 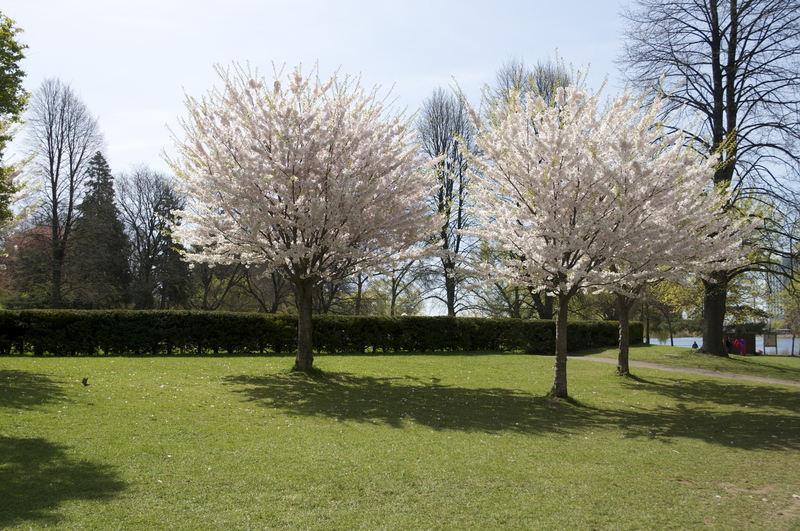 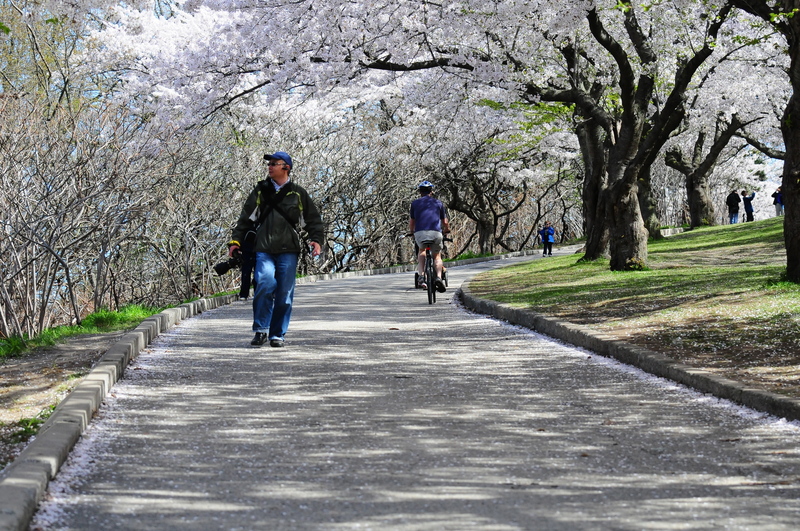 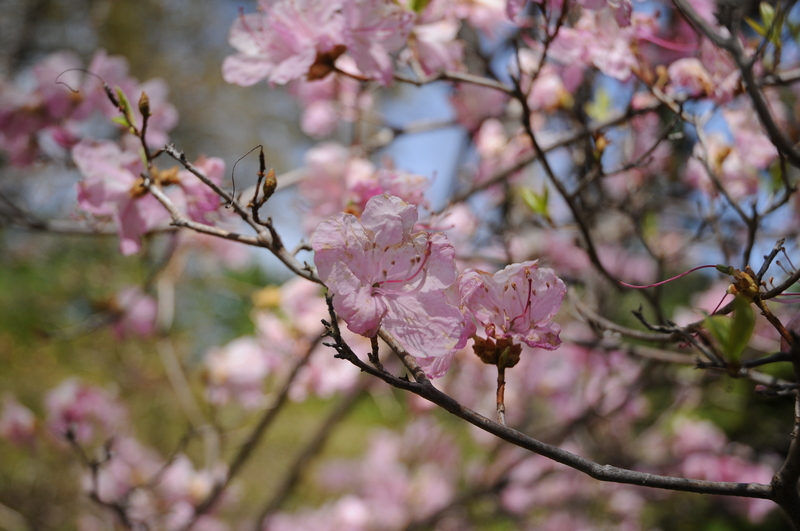 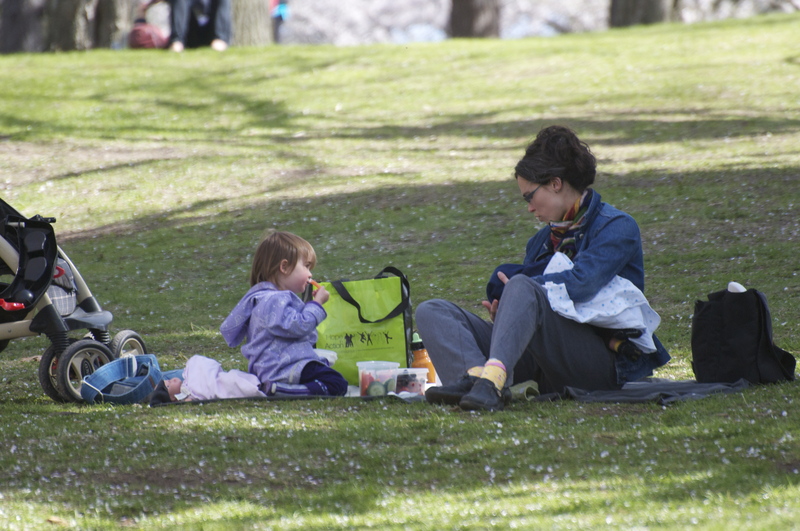 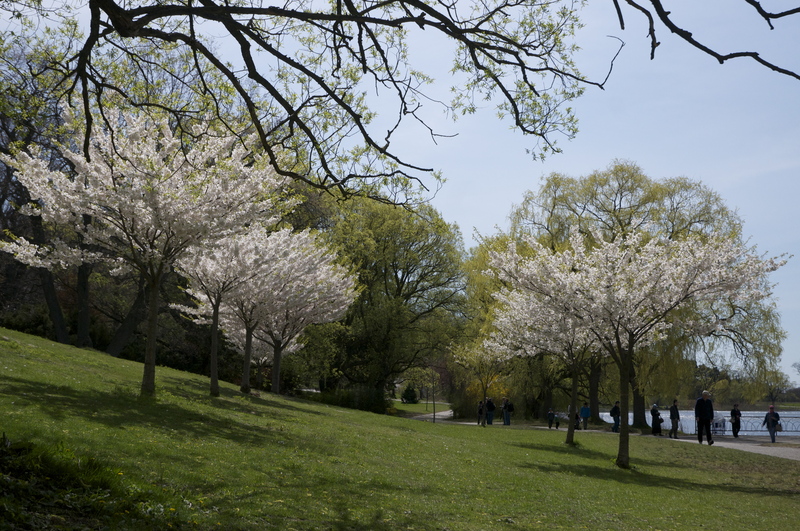 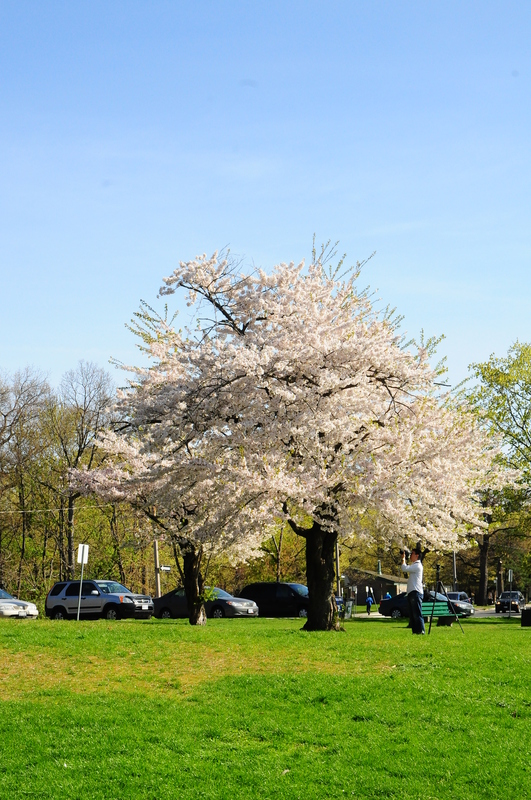 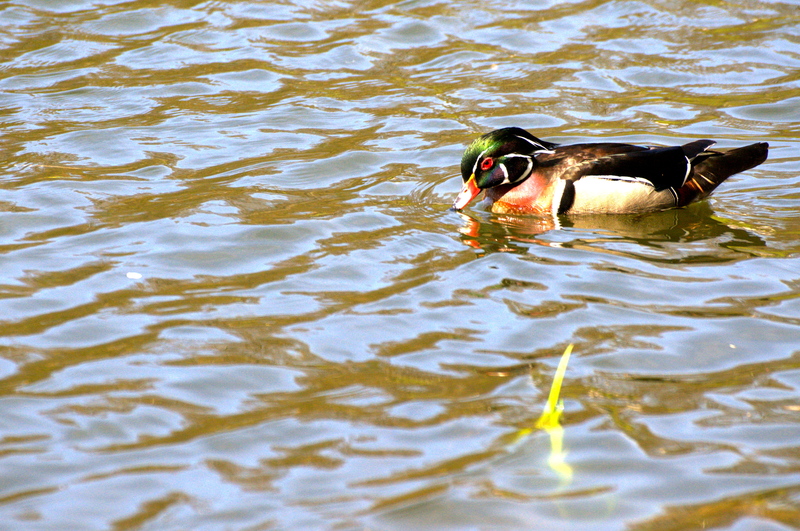 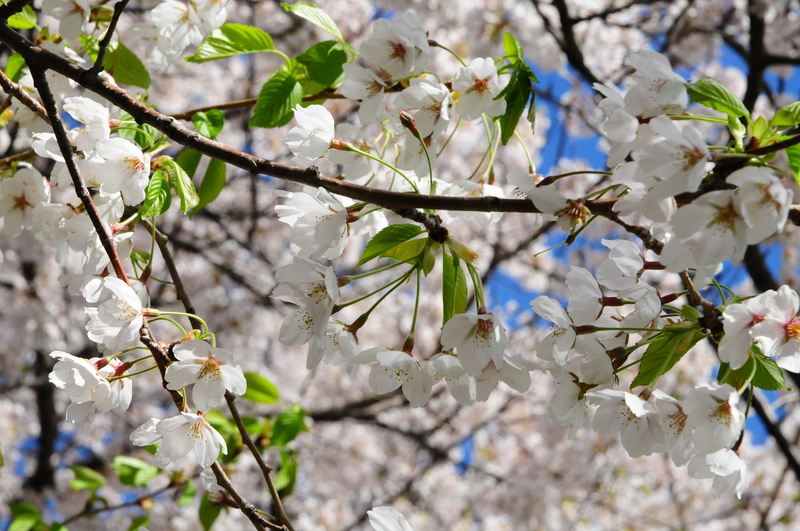 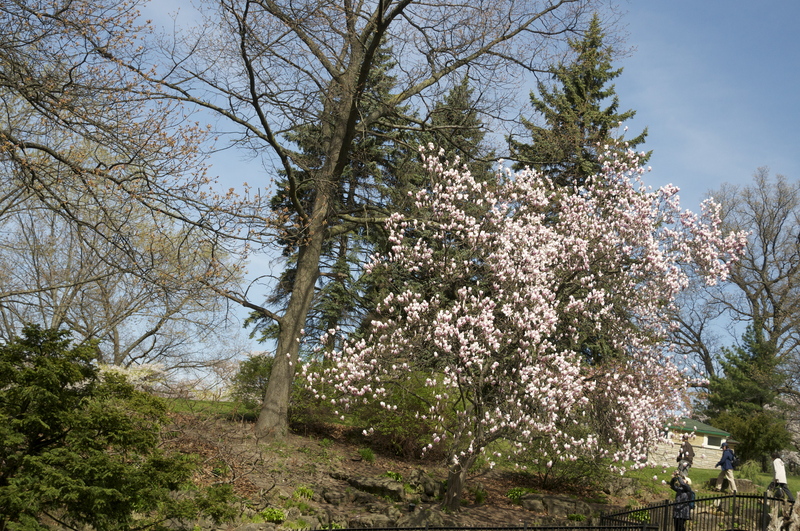 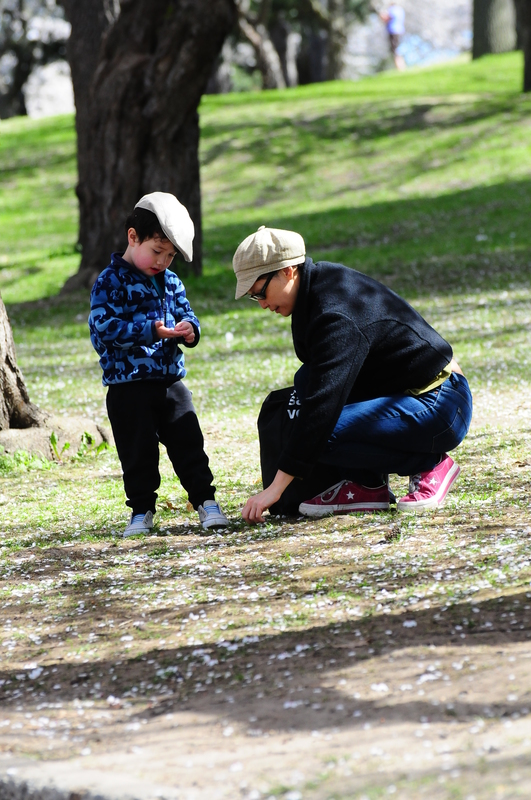 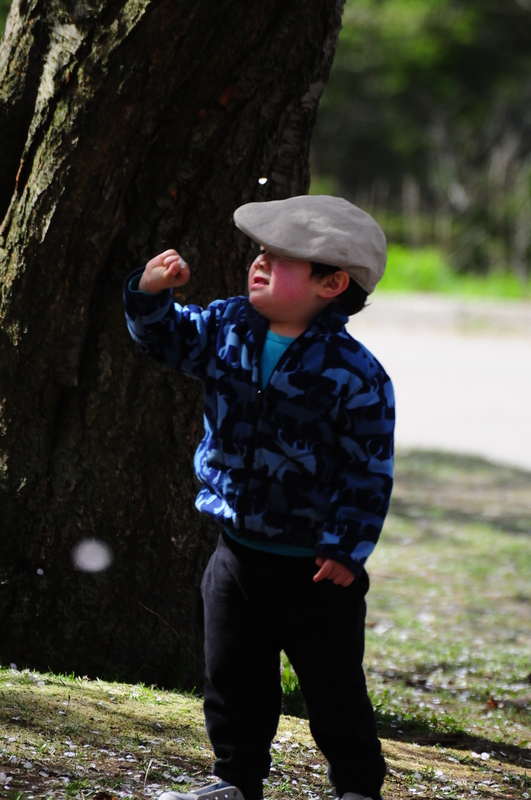 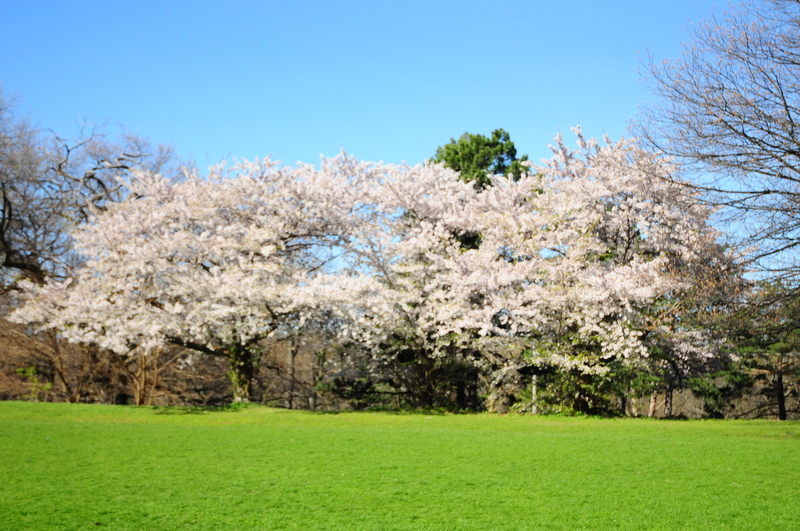 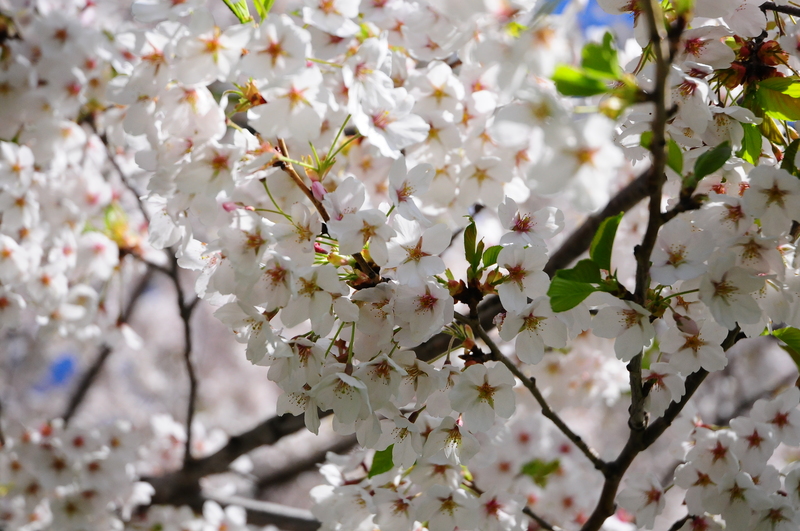 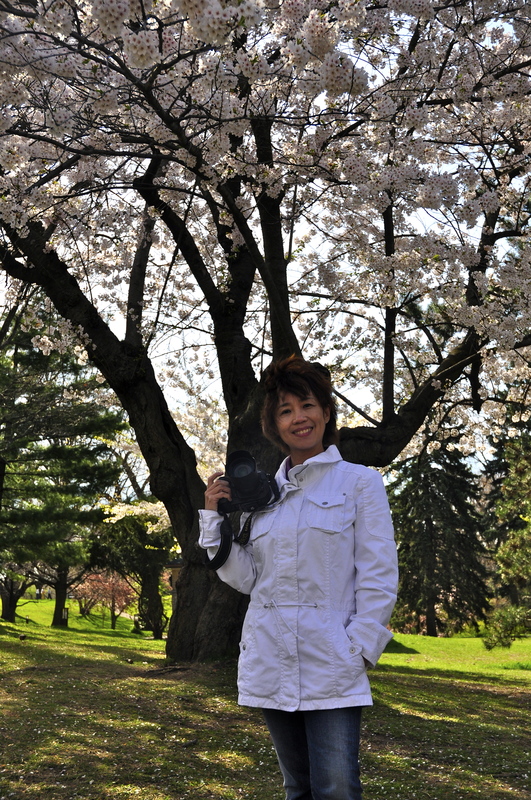 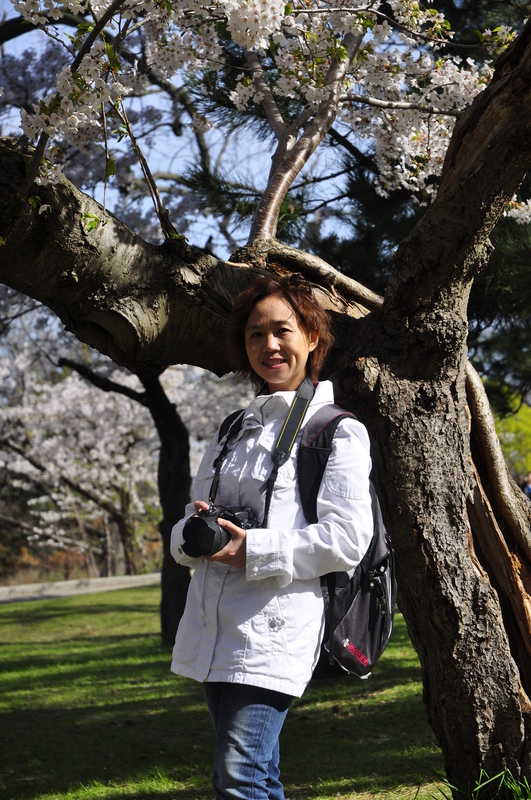 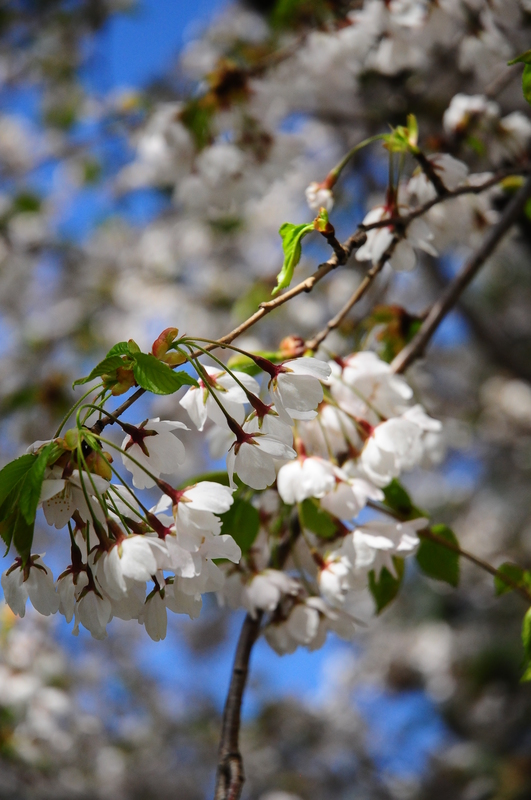 High Park attracts many visitors in the spring to admire the beautiful cherry blossoms, and May is the best time to see the cherry trees in full bloom: Most of the Sakura cherry trees are located around Hillside Gardens and there are a few by the Duck Pond as well. 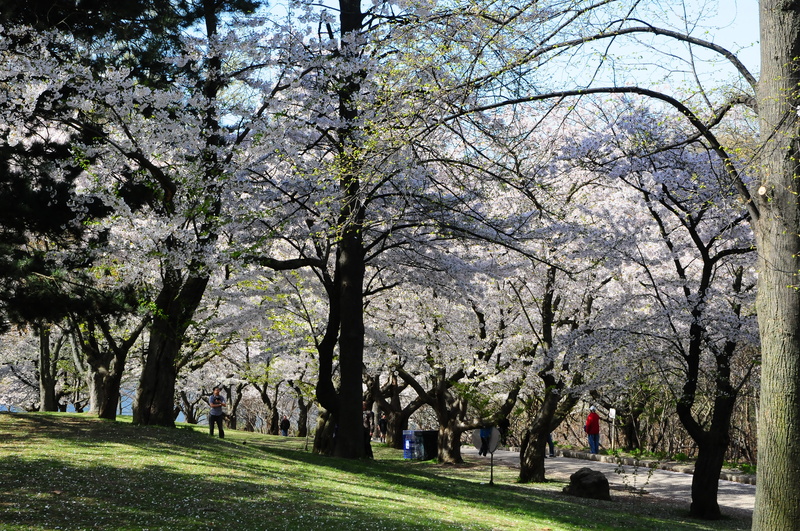 Sakura trees also known as cherry blossom trees are known for their elegance and beauty. 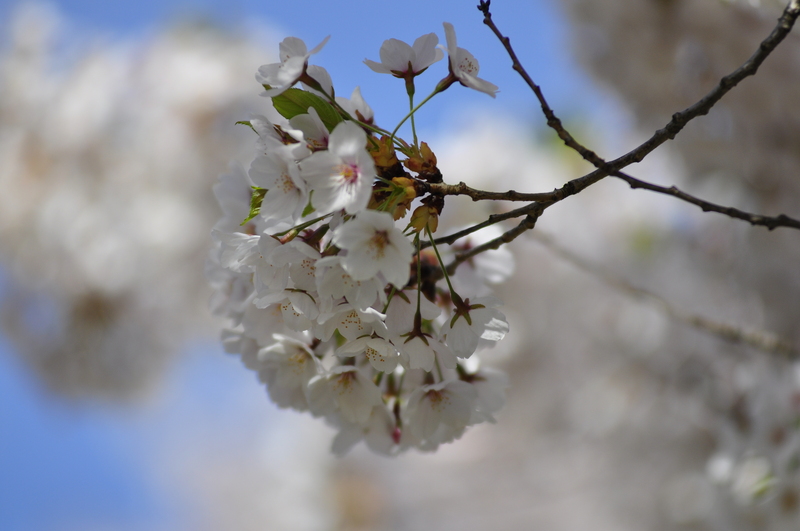 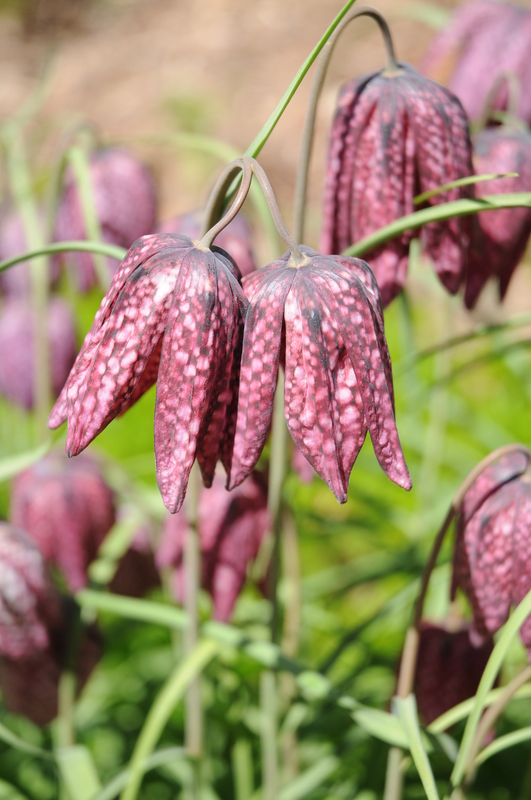 Unfortunately they are also known for their short blooming periods. 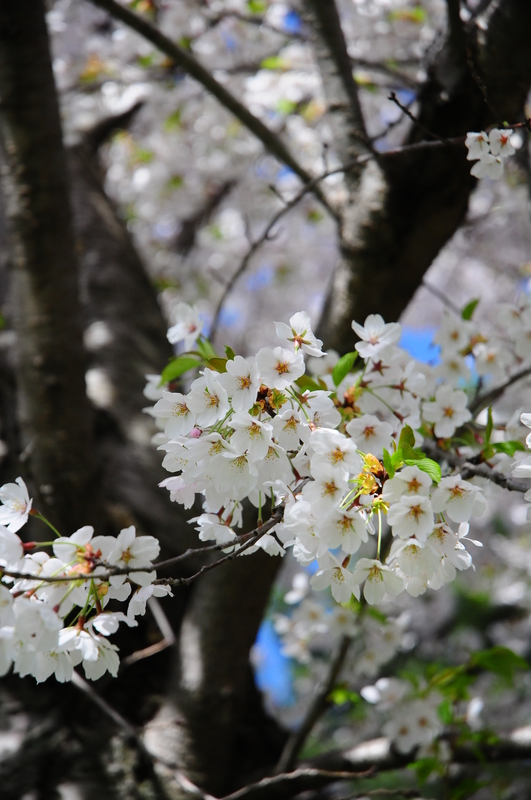 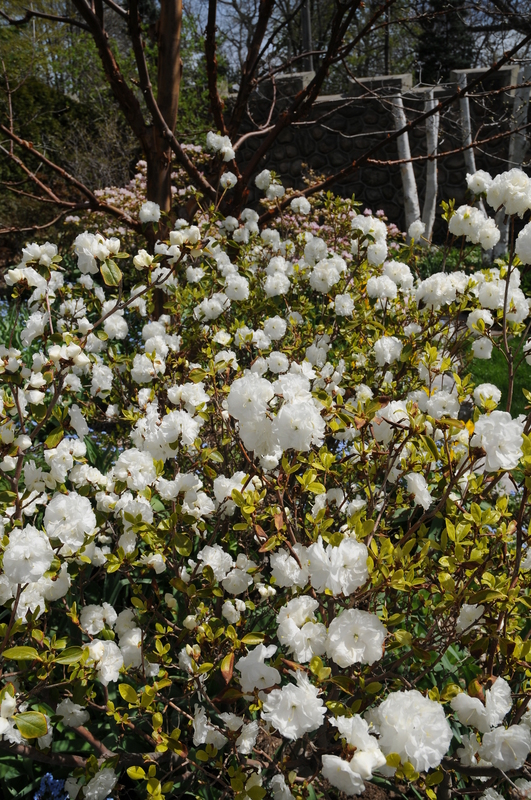 Approximately one week after the first blossoms appear, ‘kaika’, ‘full bloom’ or ‘mankai’ is achieved. 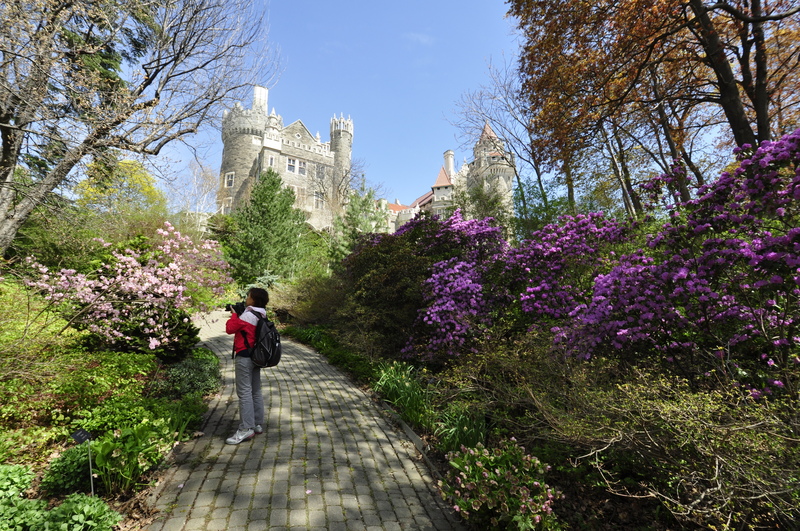 The garden of Casa Loma, one of the most stunning parts of the building, portrays a wide variety of specialty garden areas in a unique and balanced setting; the colour pattern when many flowers blossom with shrubs and tall trees give an impressive view of the garden. 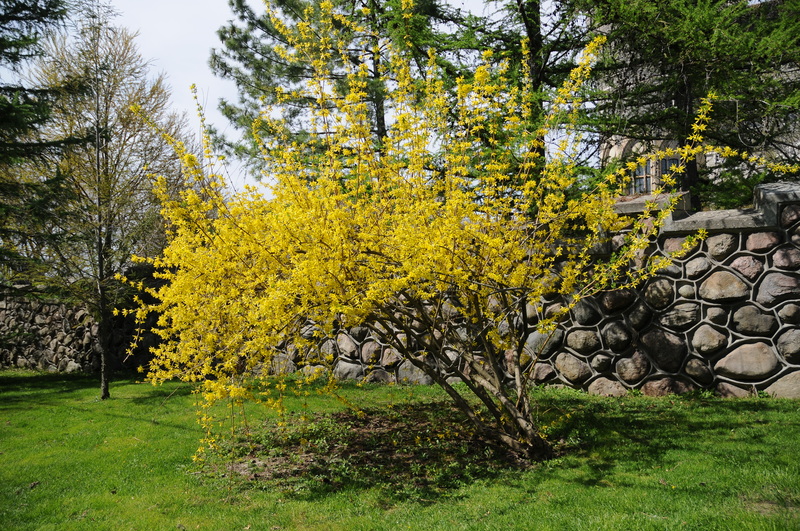 Artistic displays of annuals find strength in their colour schemes while the many flowering shrubs and trees provide an impressive array of foliage, texture and form. 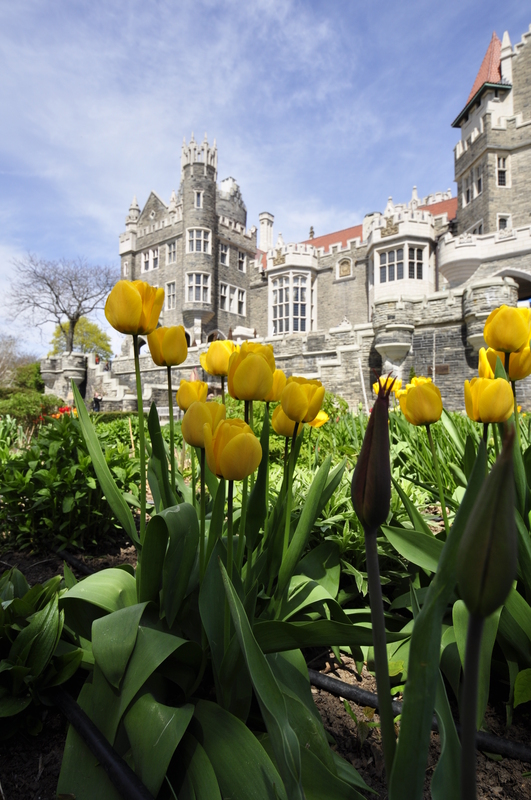 The ever-changing colours of this brilliant floral mosaic allow visitors to enjoy the beauty of the Casa Loma Gardens all season long. 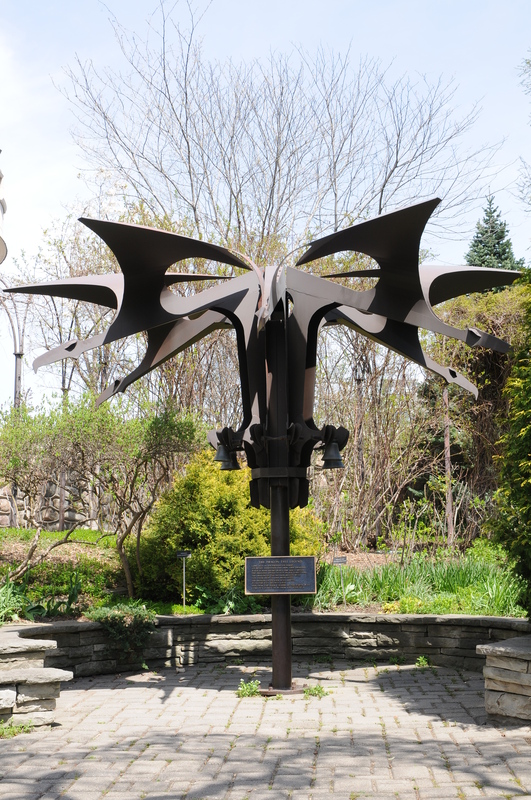 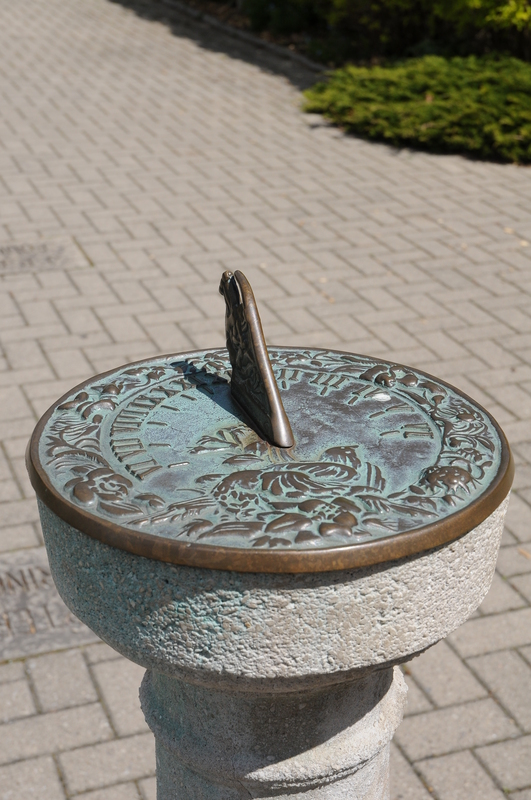 The Gardens: Renovated by the Garden Club of Toronto, the 5 acres surrounding the castle feature formal perennial borders, sculpture and fountains. 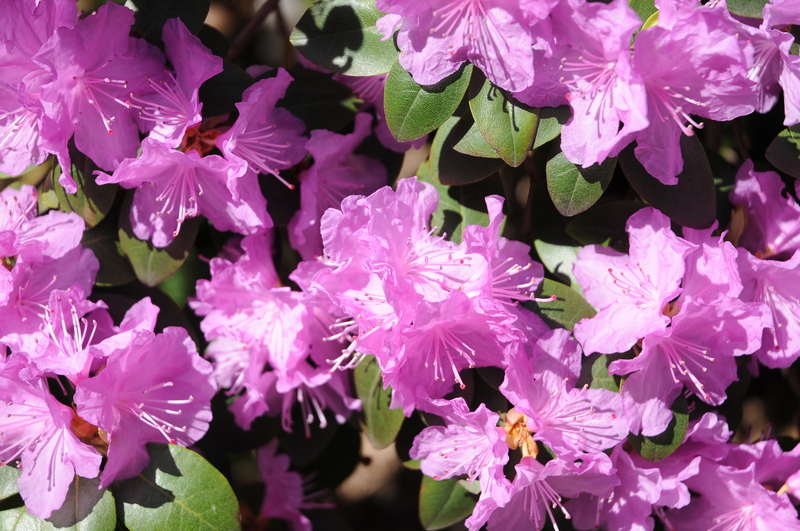 The wooded hillside showcases wild flowers and ferns plus dramatic rhododendrons and decorative grasses. 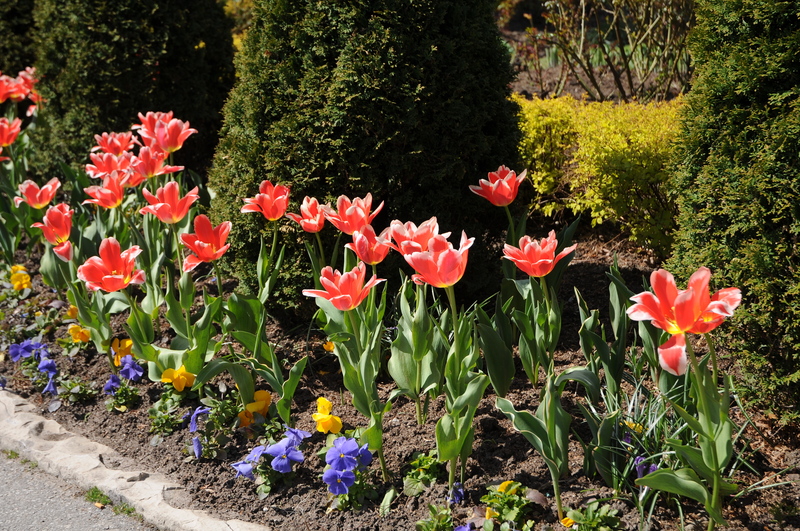 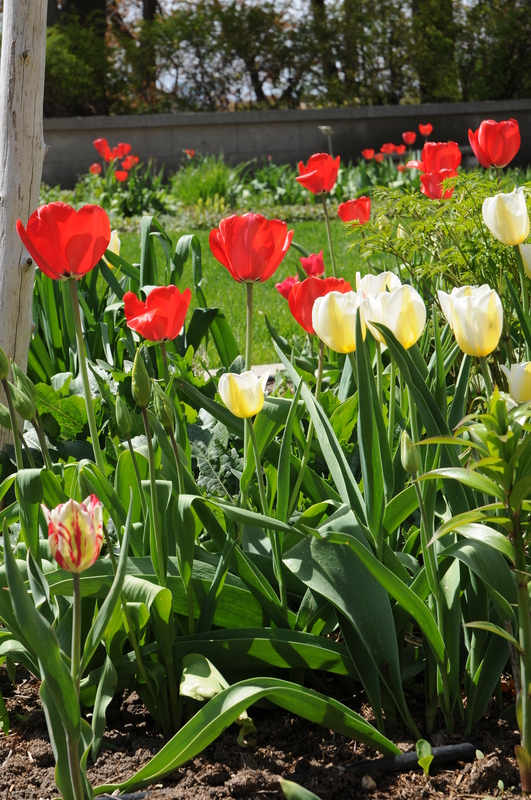 Enjoy the serene beauty and changing panorama of rainbow colours May through October as the gardens mirror the transition of the Canadian seasons. 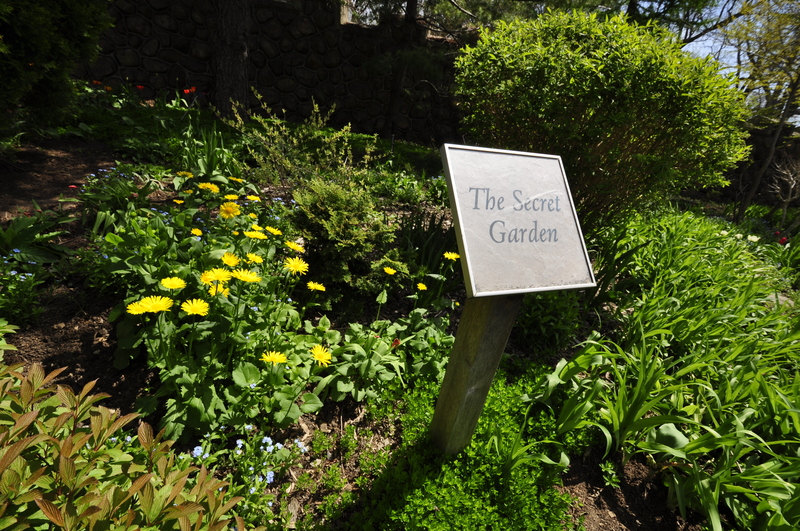 The Secret Garden: The Secret Garden gets its name from the perimeter fieldstone walls and cedar hedge that surround it. 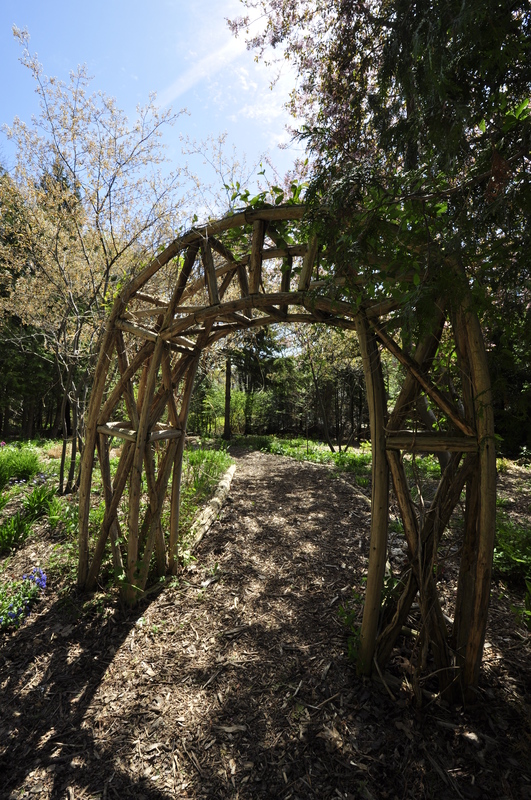 The area has a cottage garden feel due to the mixed plantings of shrubs and perennials and lush roses cascading down from the Arbour. 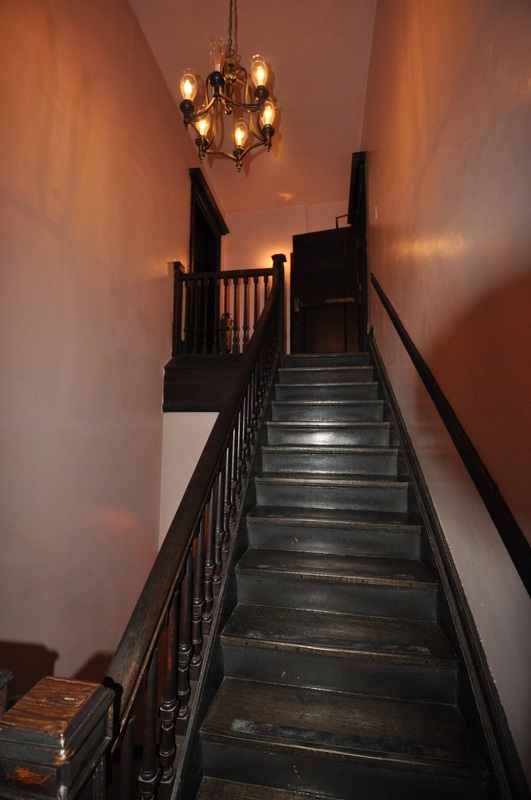 From the second floor, we could go to the third floor by three ways, first, the main stair in the center of the building, or the servants’ stair, as most of the servants’ rooms are in the upper floor, and the last, we could use the elevator, which was renovated from the original one but still takes the same place and with the same design. 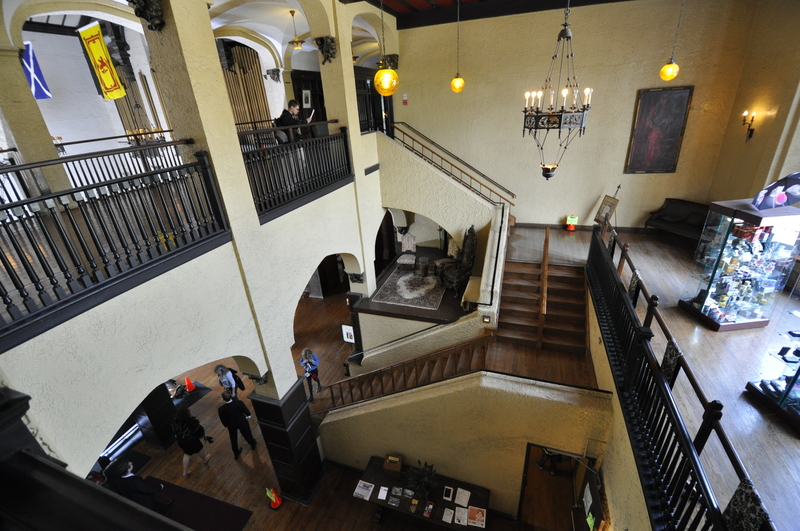 Stairs to Towers: the highest point of the castle, from where we can see a scenic and beautiful view of the city. 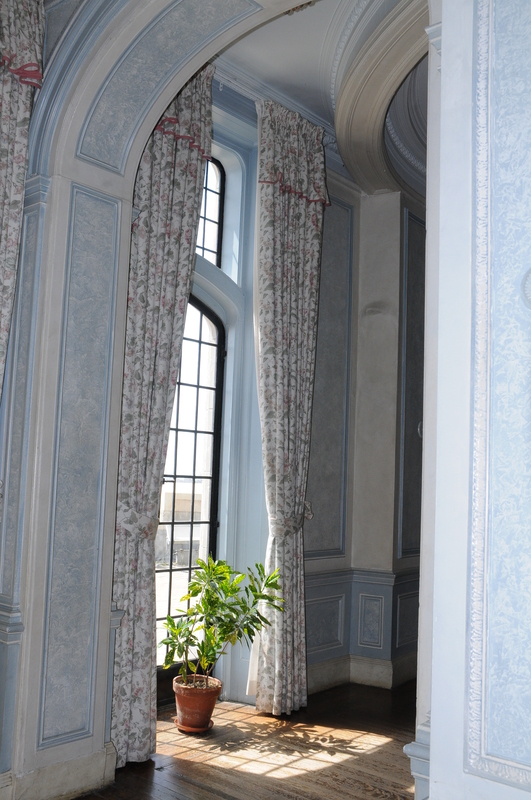 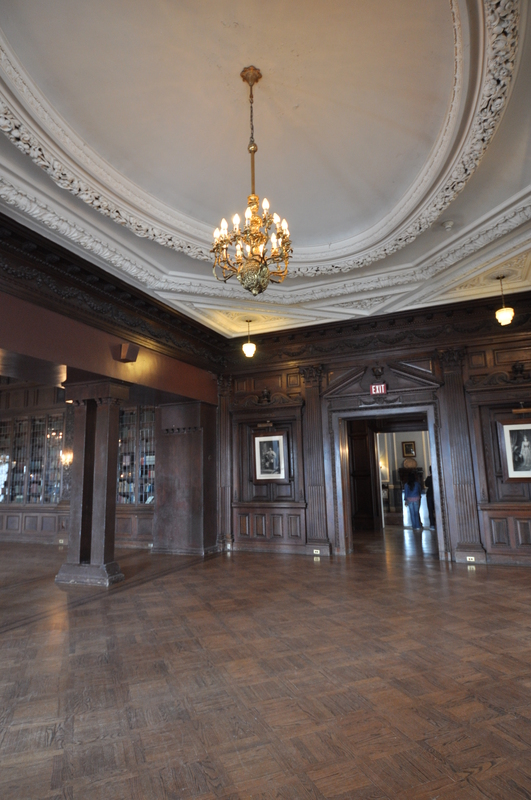 Some of the rooms in the third floor were never completed, and now become Queen’s own rifles museum. 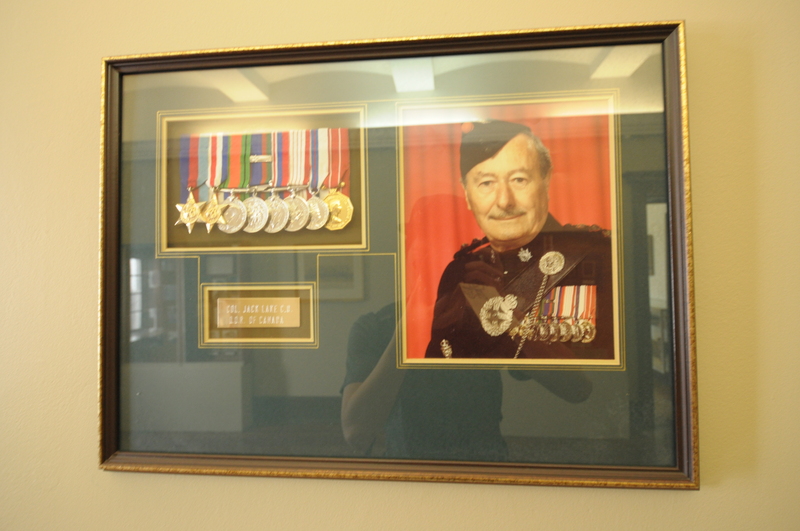 Sir Henry was a dedicated supporter of the Queen’s Own Rifles, achieving the rank of Major General. 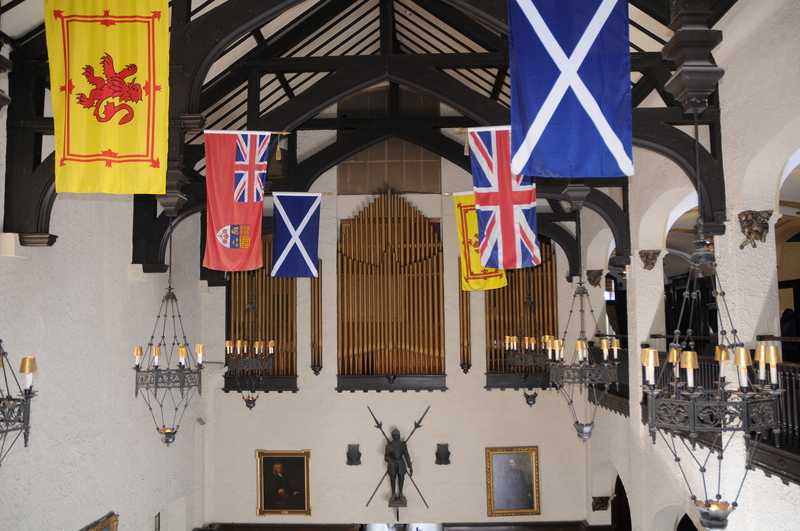 The regiment’s band was often engaged to entertain guests at the castle. 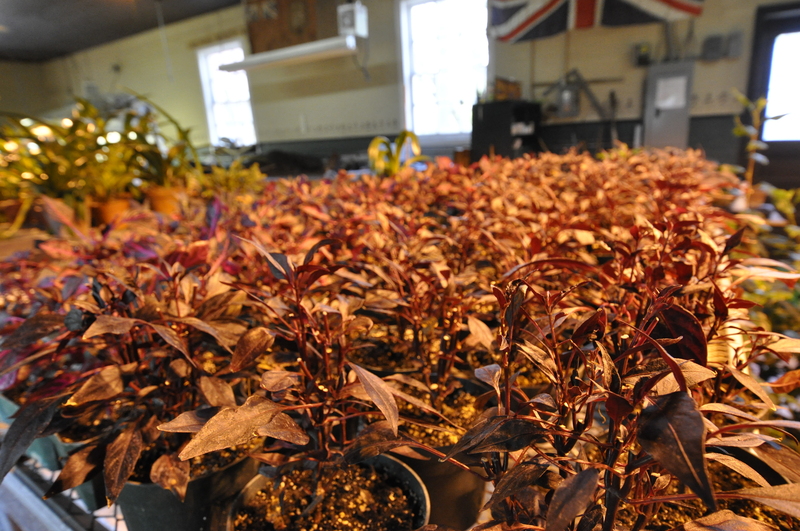 In 1910 Sir Henry took the entire 600-man regiment to England for military games at his expense. 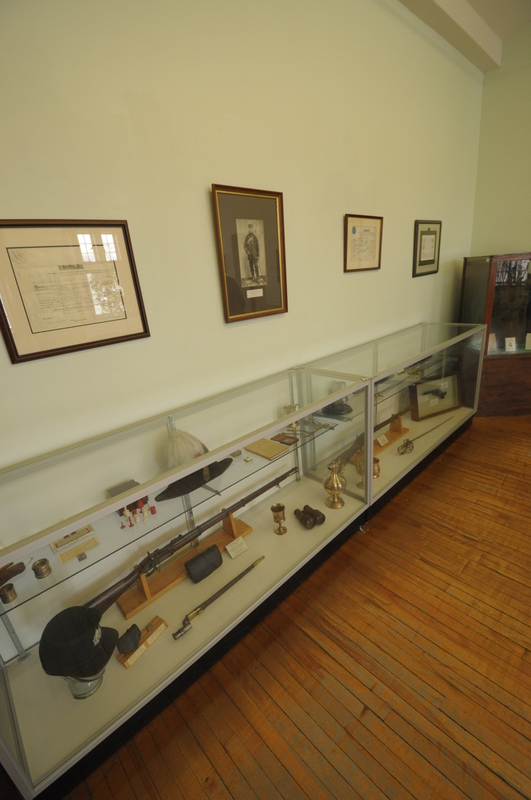 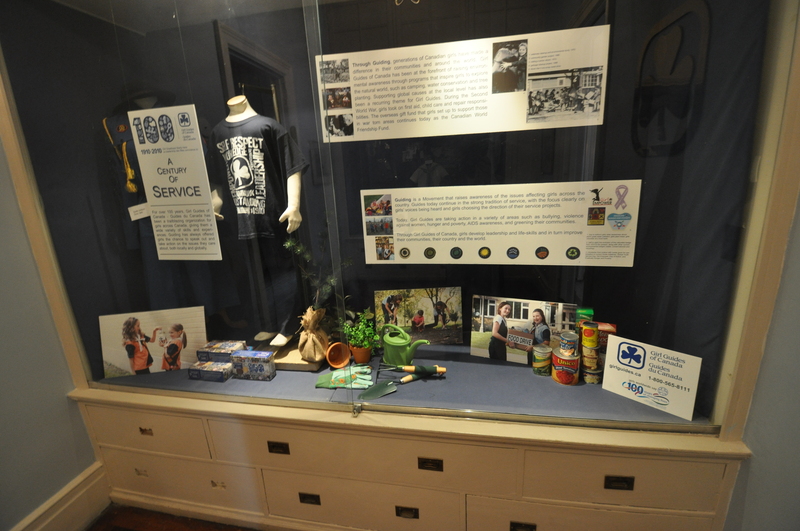 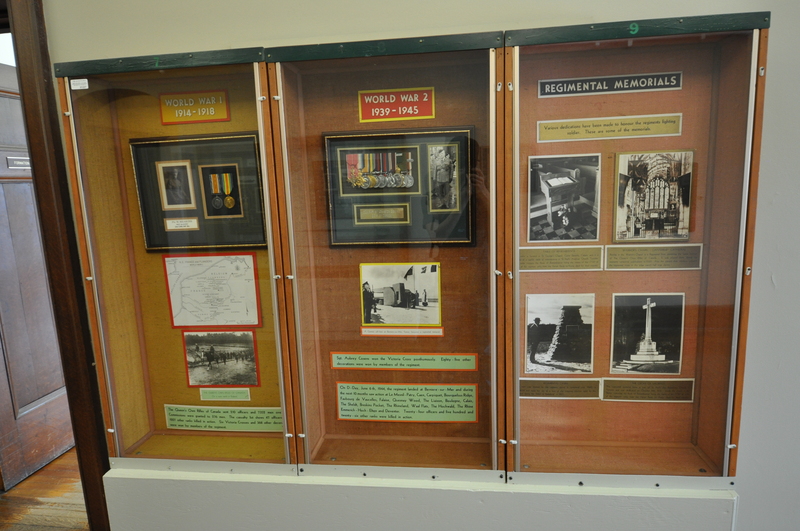 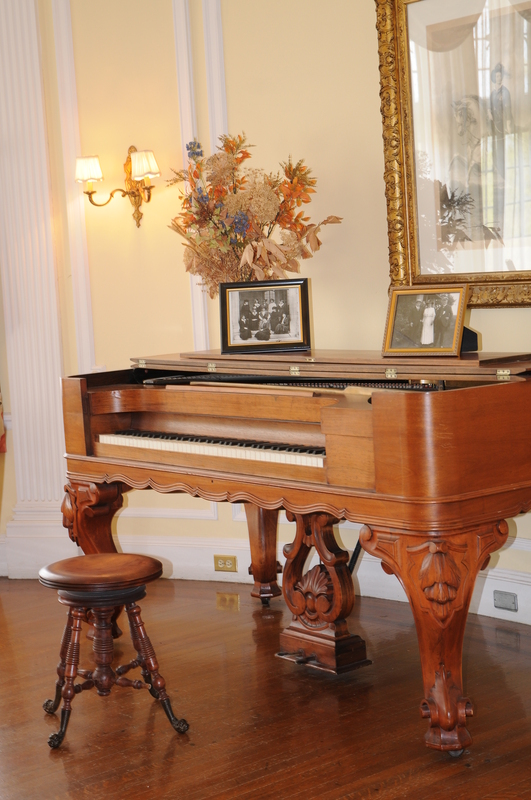 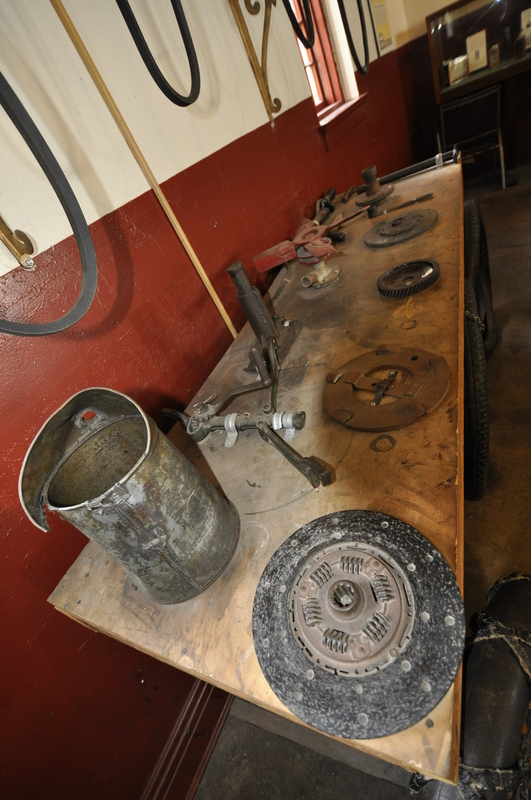 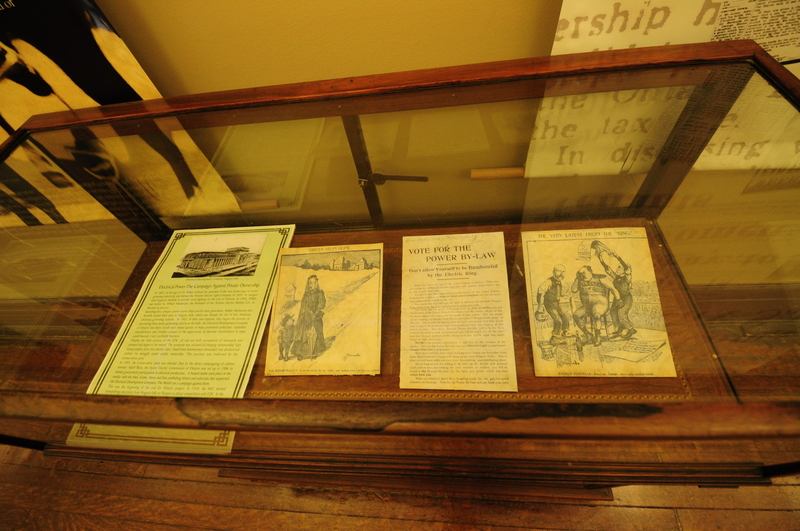 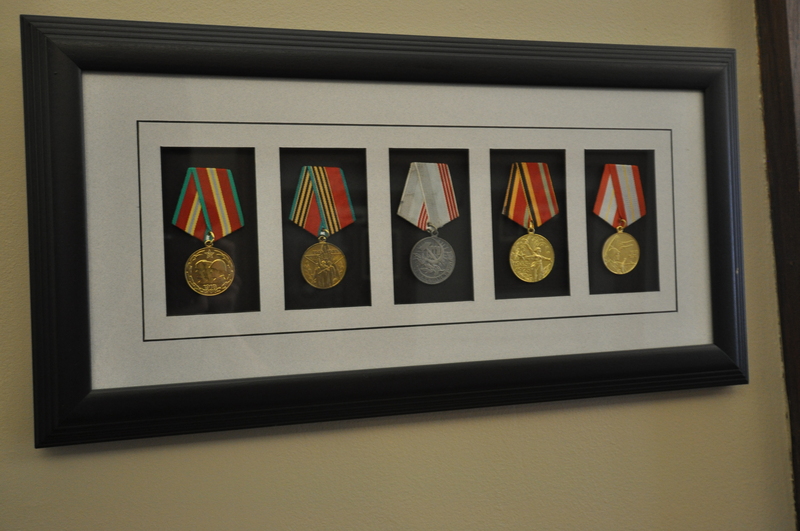 In the rooms, there are some medals, uniforms, old photos, and even equipment that Sir Henry used to use. 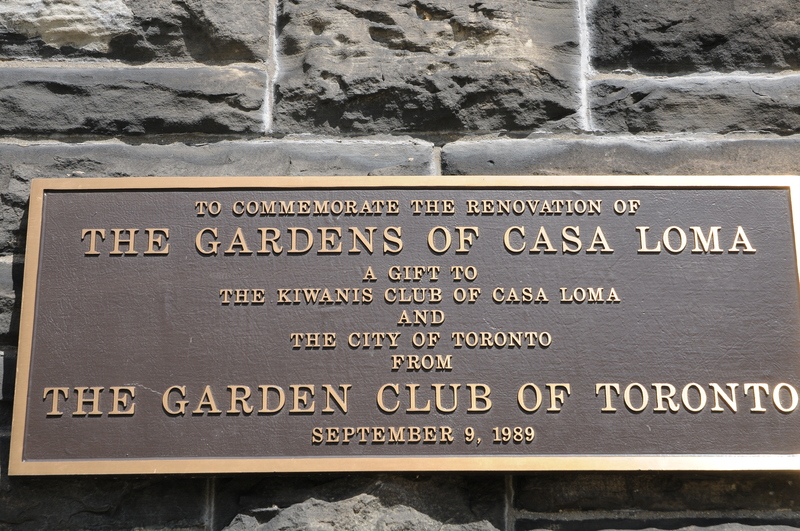 Notably, while Casa Loma may be the largest house ever built in Canada, it pales in comparison to the houses constructed by wealthy American Industrialists, such as Marble House – which needed a budget of 11 million dollars to construct (Casa Loma needed “only” 3.5 million). 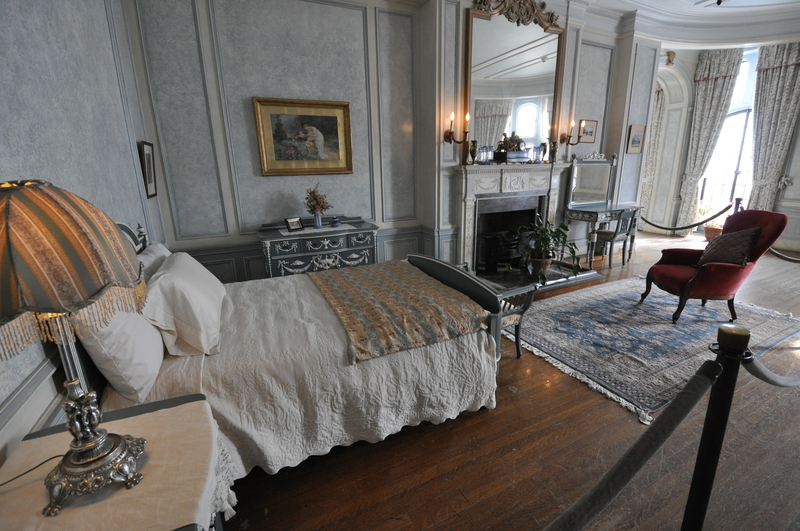 In the meantime, Pellatt did not fare too well either. 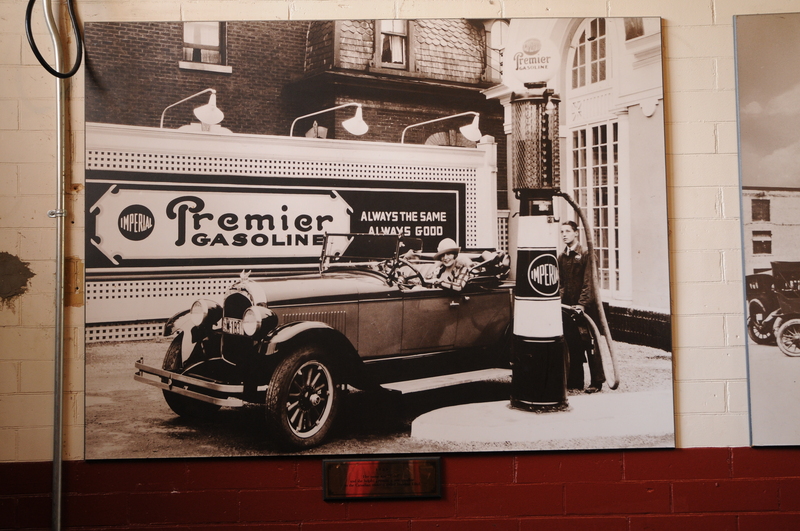 Eventually to fall to financial ruin, Pellatt was nicknamed The Plunger early on, and it was written in a 1920s MacLeans that “he was looking for it…so there was no use shedding tears over his probable fate”. 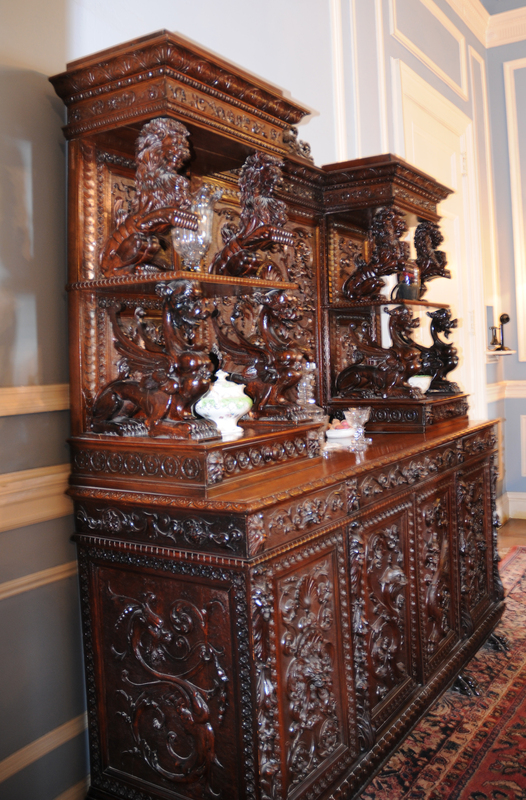 His massive art and furniture collection was also (falsely) touted as being nothing more than a collection of fakes. 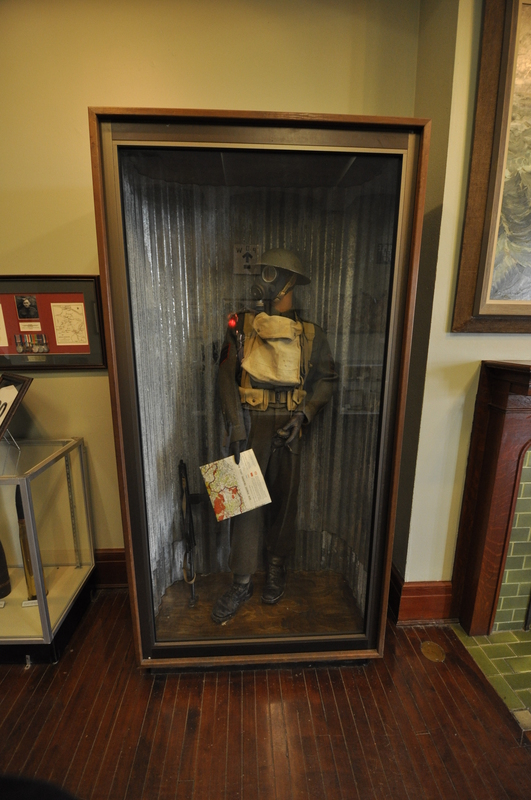 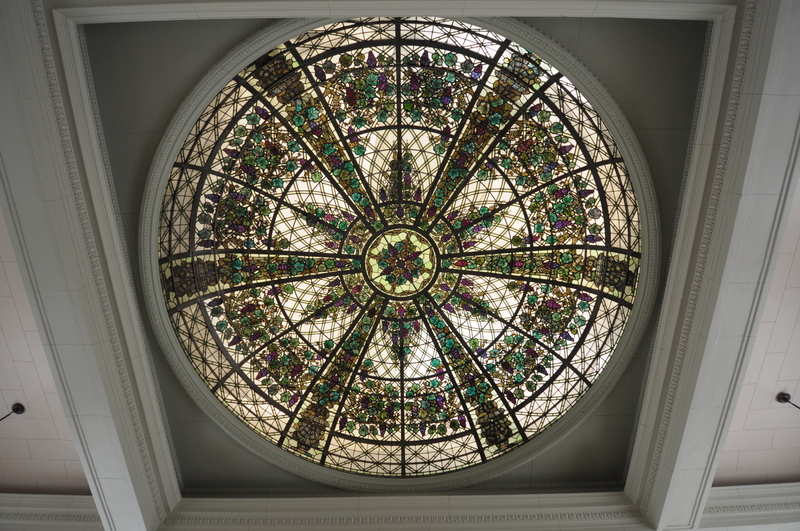 After Pellatt went bankrupt, plans were made successively to make the structure a home for war veterens, a war museum, a high school, a convent, a monastery, a hq for the Orange Order , a club for wealthy men, and even a home for the Dionne Quintuplets. 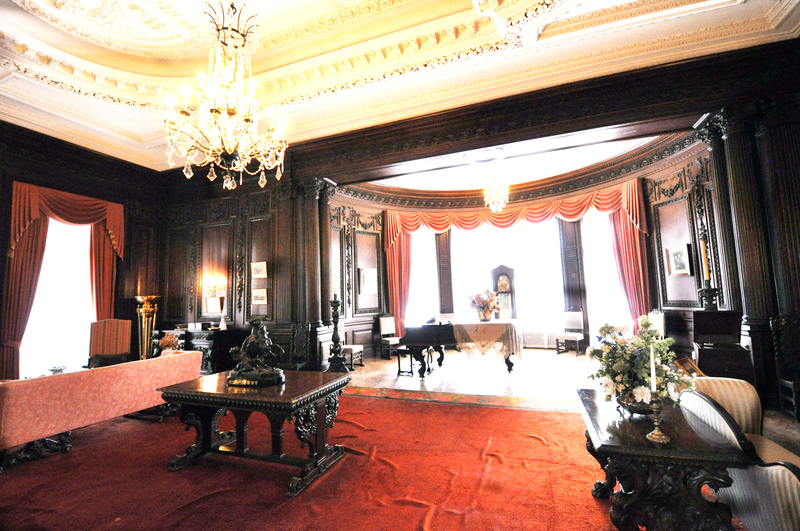 It became a night club for a short while and then a luxurious hotel for a shorter while, before it finally became a tourist spot. 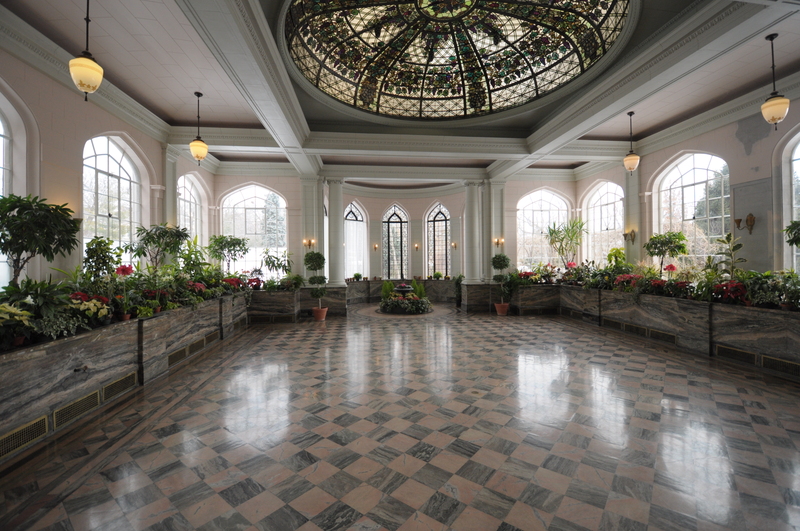 The Garden Room: View the gardens from this 3rd floor vantage point. 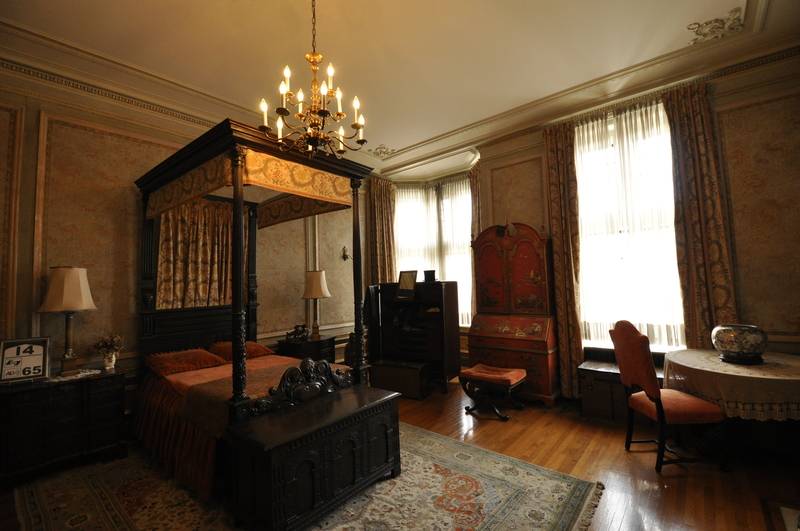 Servant’s Room: Up a few steps from the landing is a typical servant’s room. 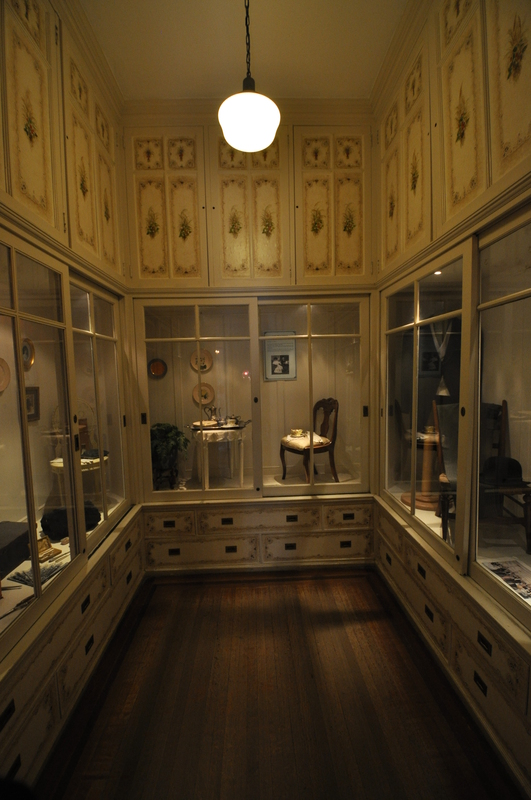 Gift Shop: The three arches in this room were laneways for Sir Henry’s proposed bowling alleys. 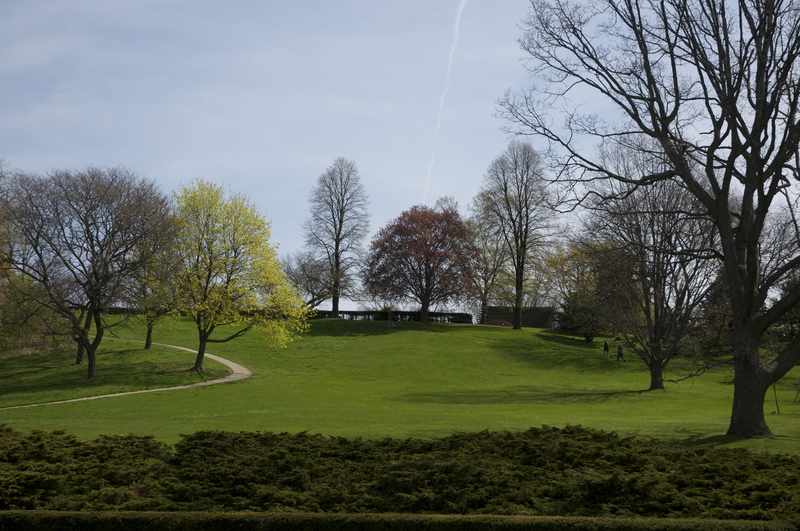 A shooting range was to have been installed on the other side of the wall but was never completed. 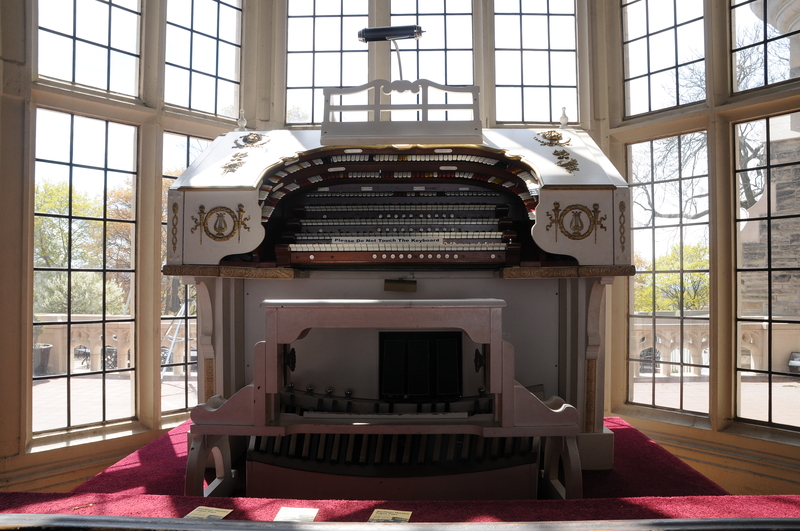 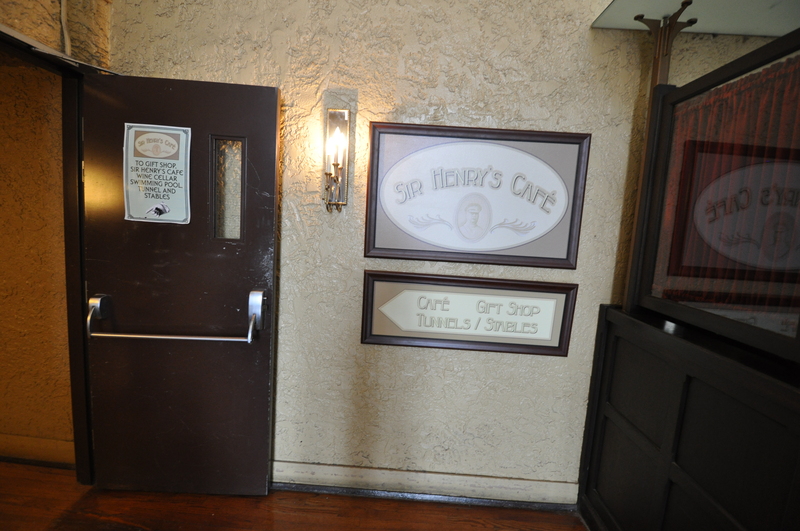 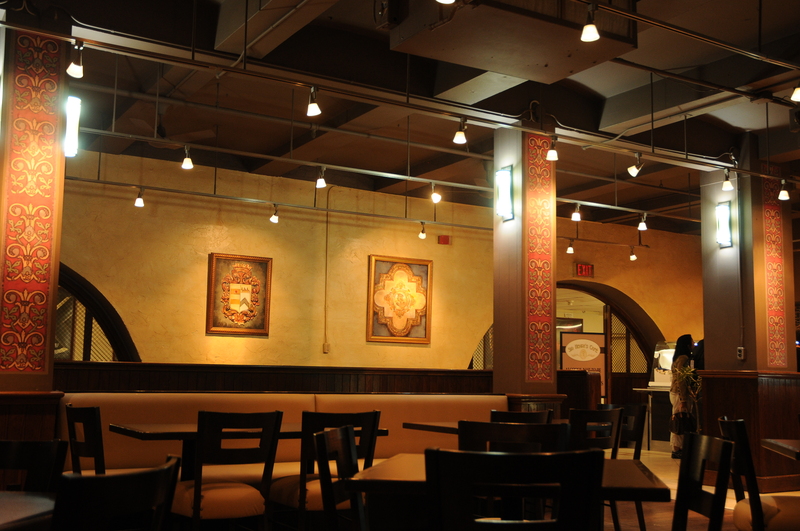 Sir Henry’s Cafe: Originally designed to be Sir Henry’s private exercise room, it was to be filled with the latest of the turn-of-the-century equipment. 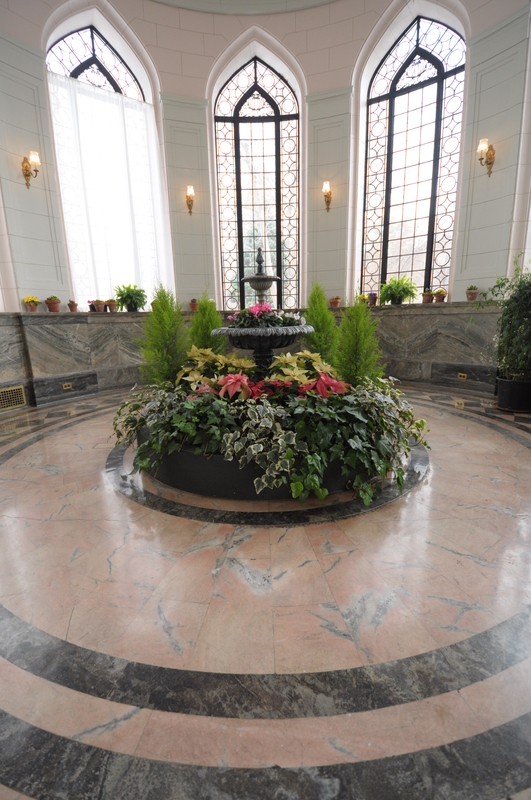 Swimming Pool: The pool beneath the Conservatory was also never properly finished. 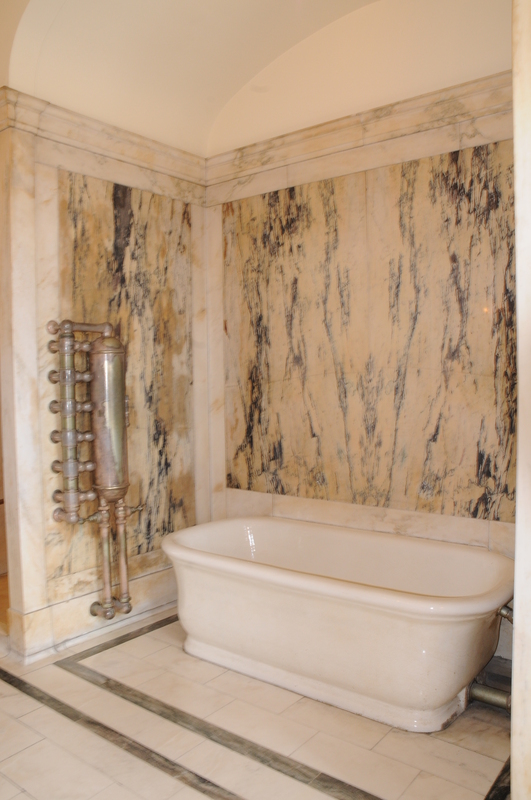 The original plans called for the pool to be surrounded by cloisters, marble arches and gold swans around the edge. 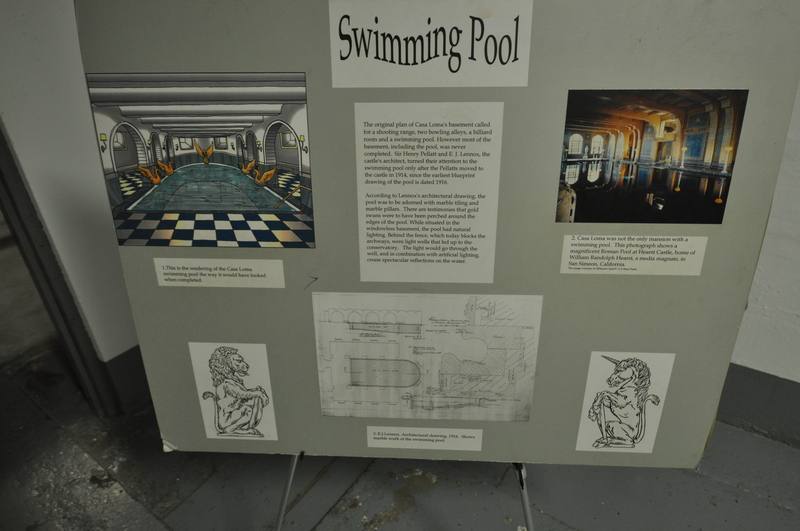 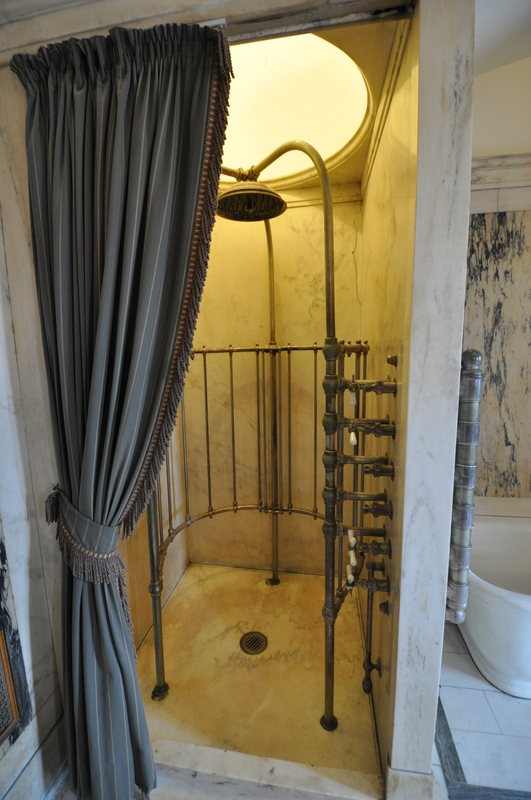 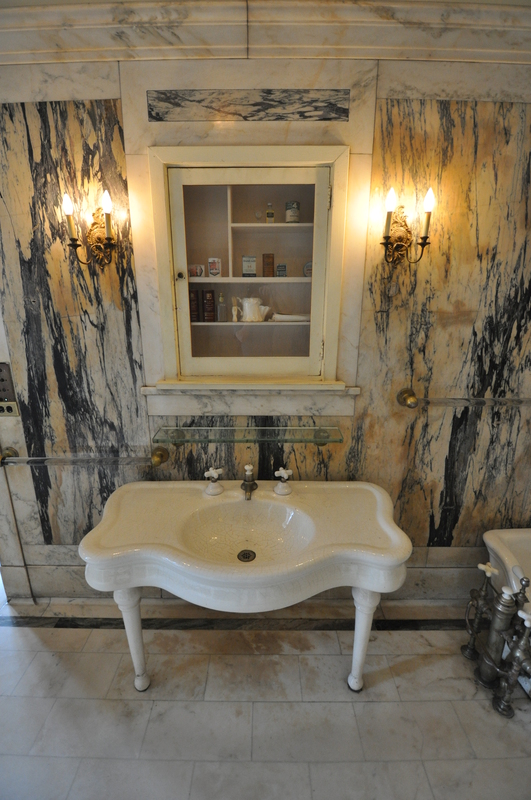 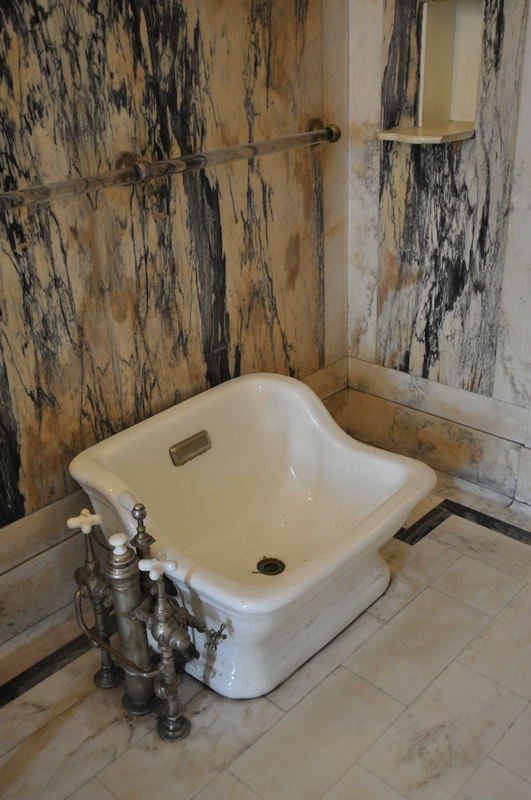 In fact, the pool and the entire basement of Casa Loma were used mainly for storage. 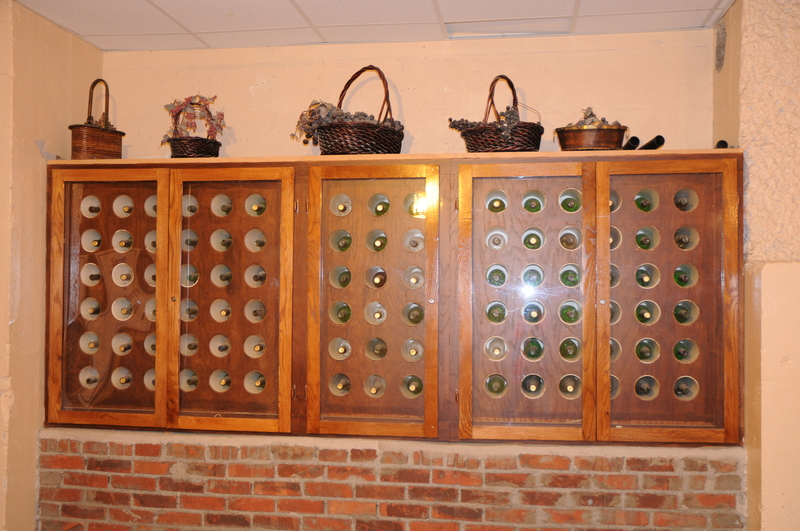 Wine Cellar: Ammonia and brine-filled pipes chilled the collection of nearly 1800 bottles of wine and champagne, Sir Henry’s drink of preference. 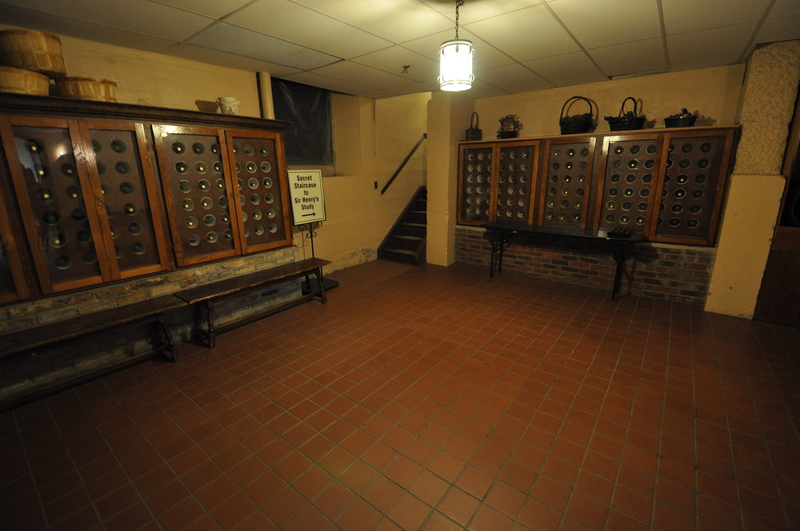 It is interesting to note that the cellar is directly connected to Sir Henry’s study by a secret passage. 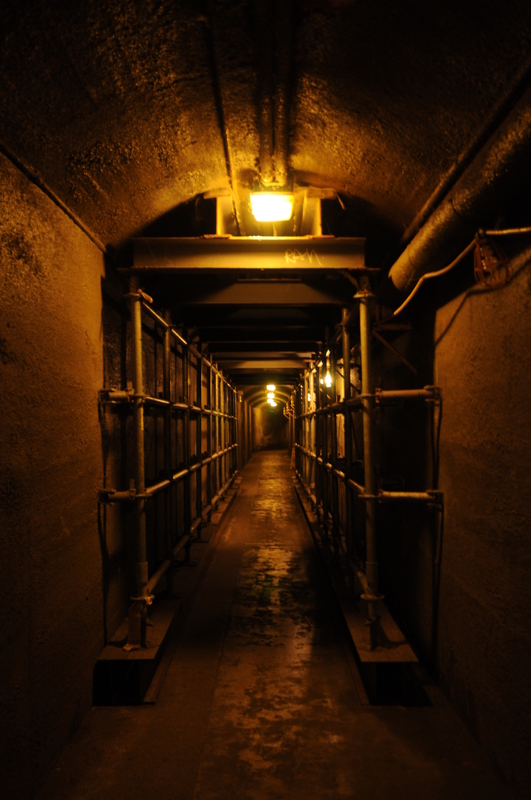 Tunnel to Stables: The stables are connected to the castle by an 800-ft. tunnel which runs 18′ below the ground. 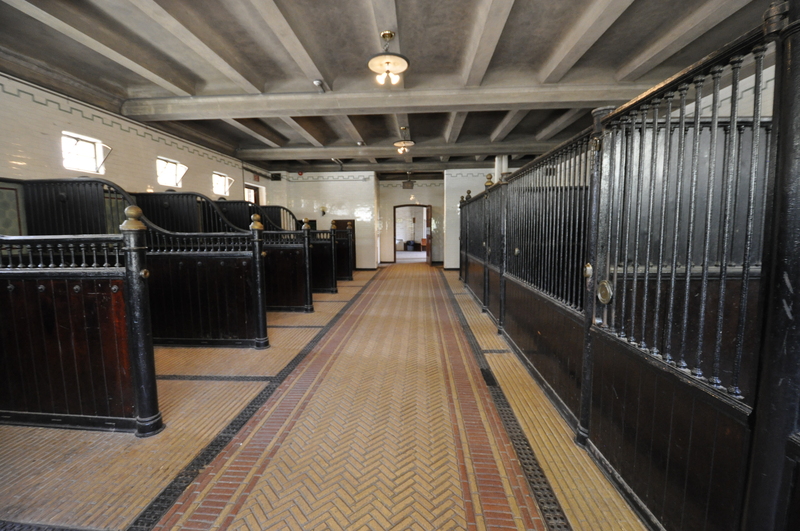 The Stables: The horse stalls are constructed of mahogany while the floors are covered with Spanish tiles. 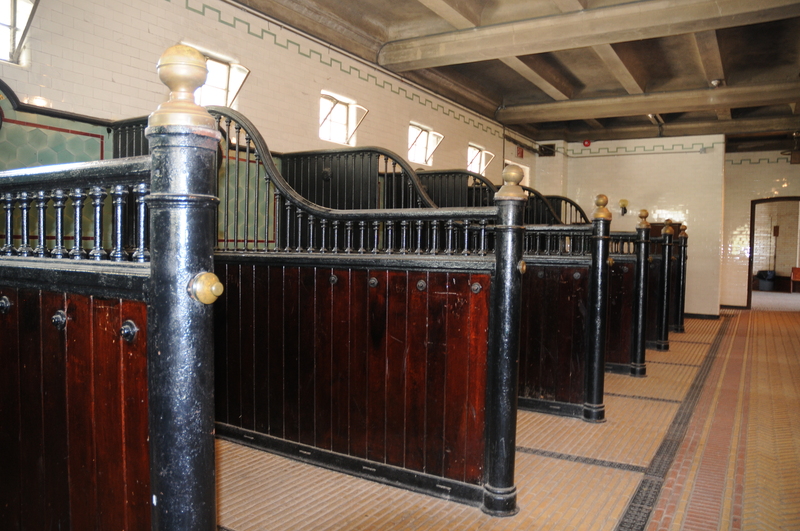 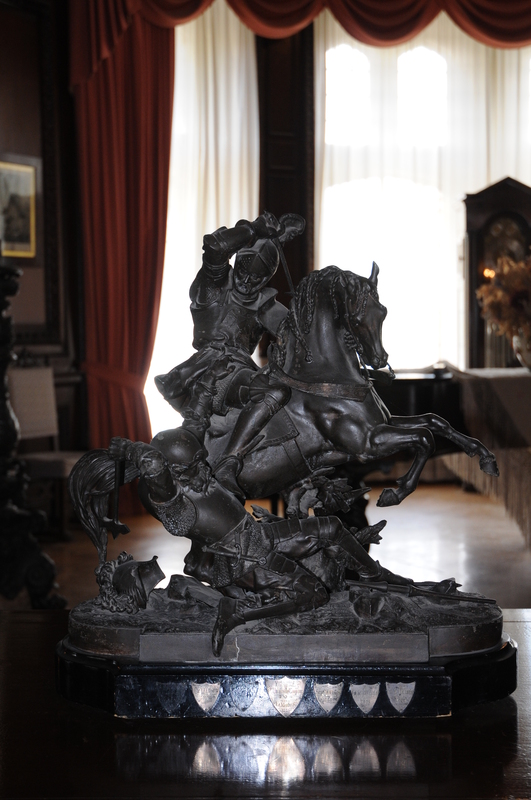 The stables were made to store Sir Henry’s private horses that he used to ride them to hunt or even in war. 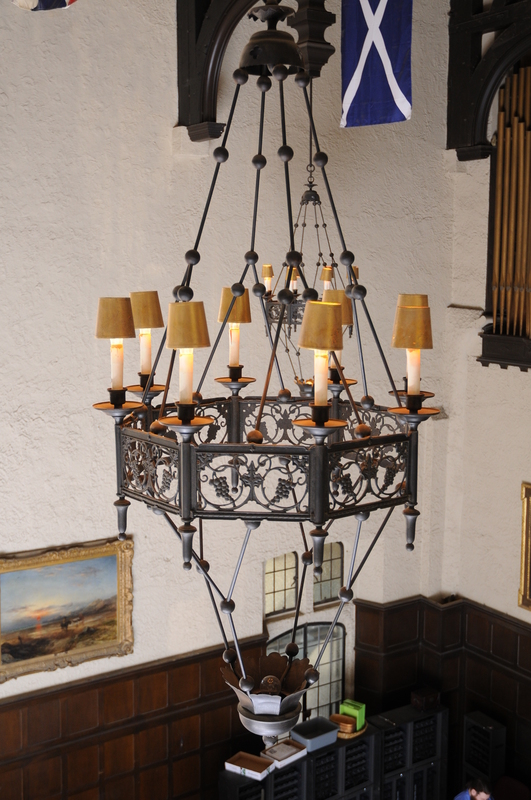 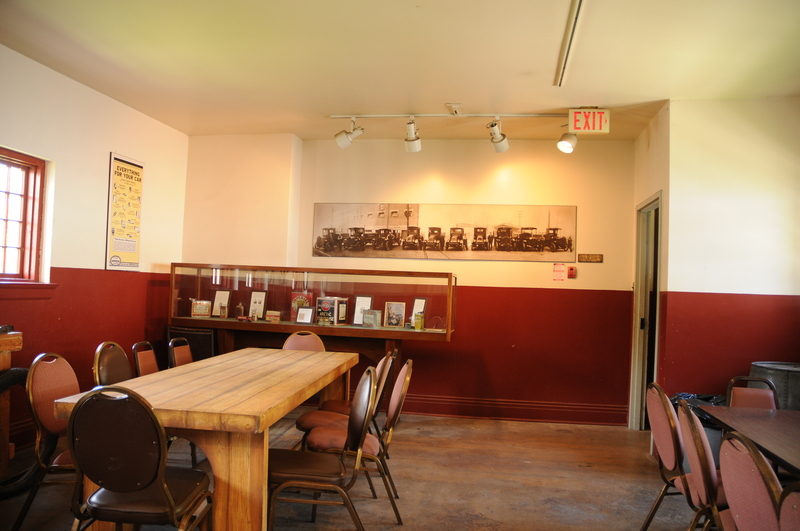 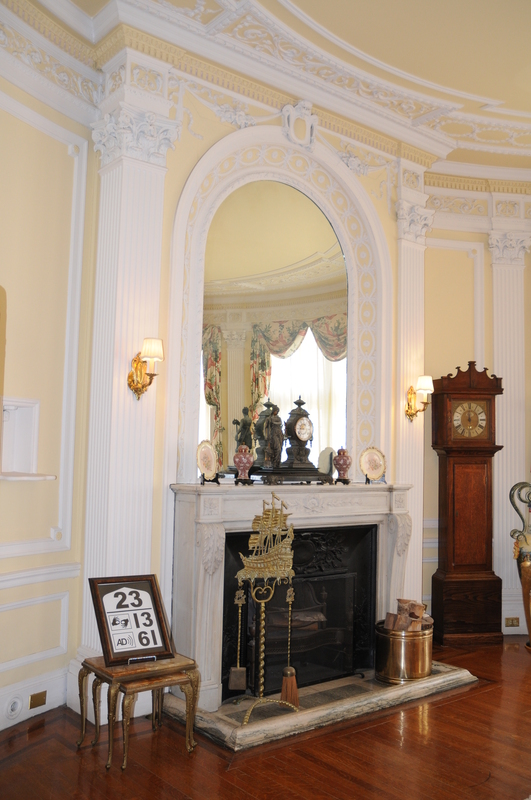 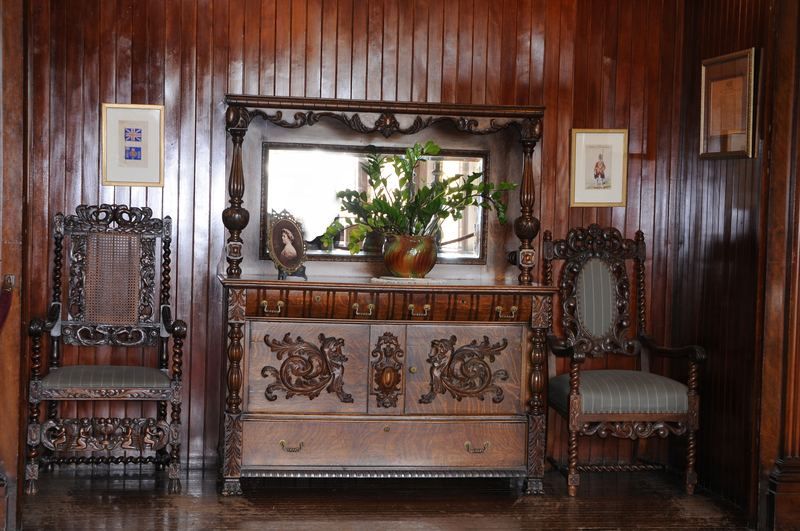 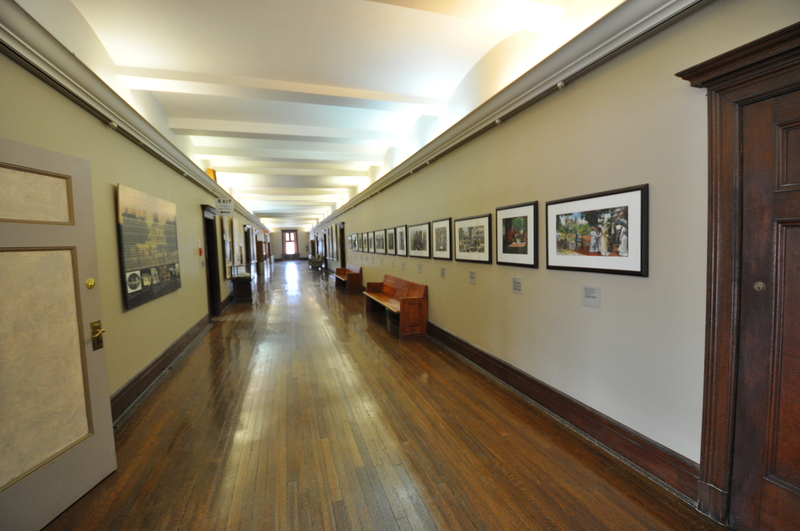 Carriage Room: Much of the carriage collection on display is on loan from the Powell family of Kettleby, Ontario. 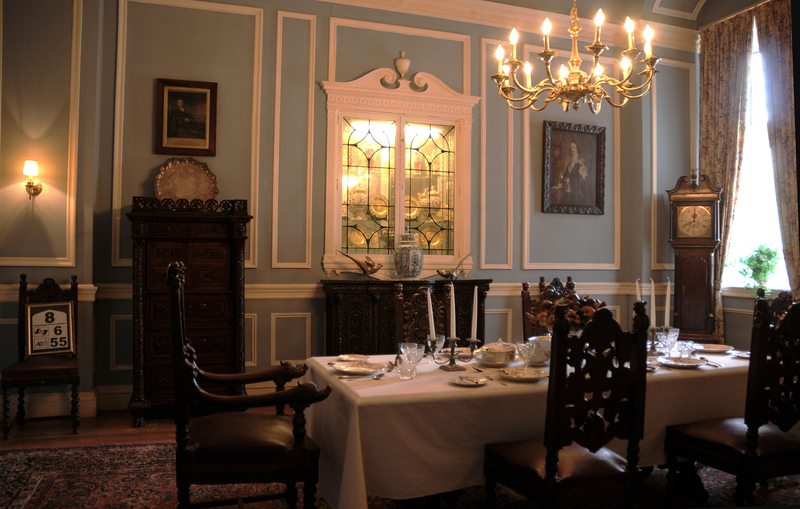 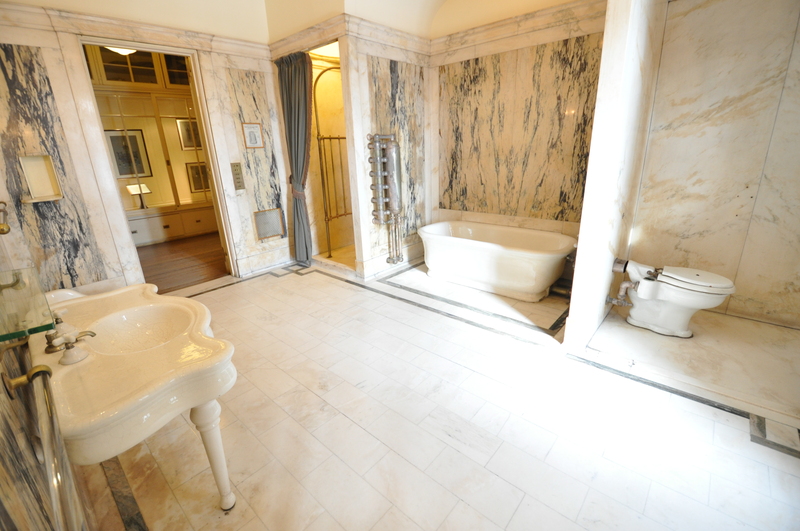 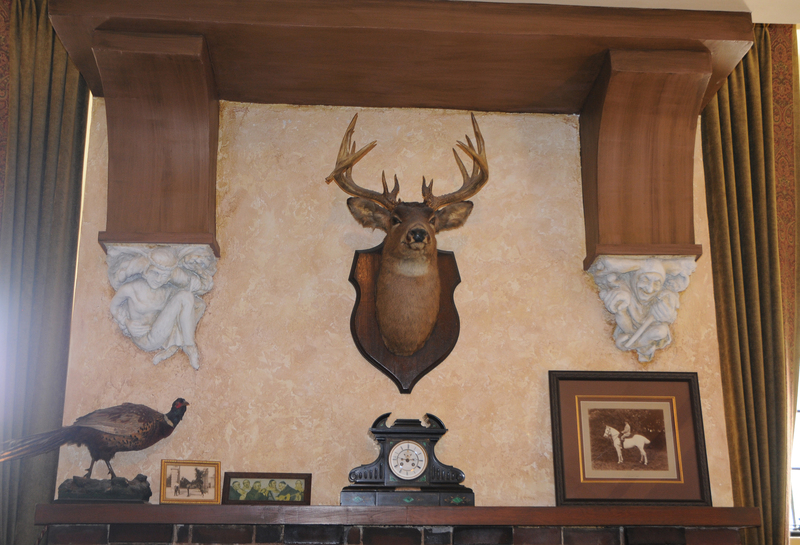 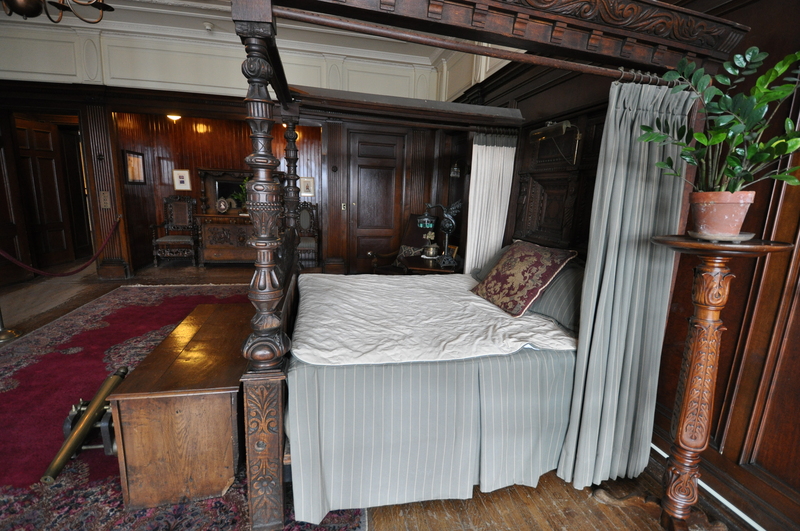 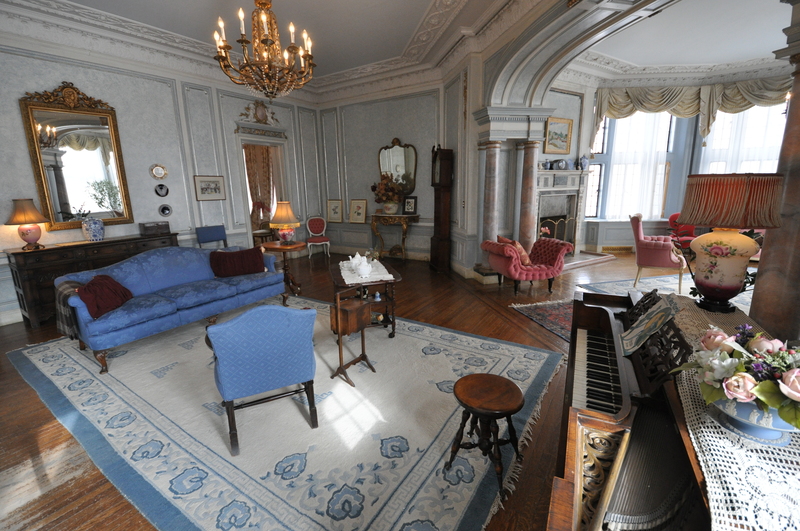 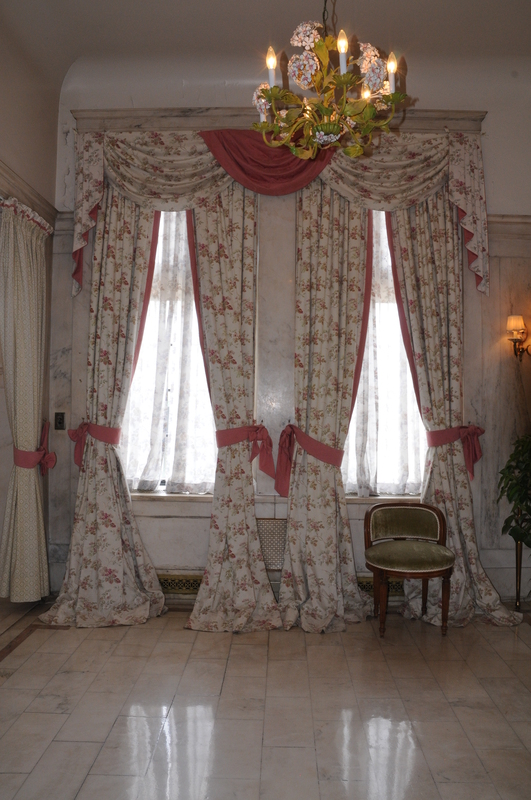 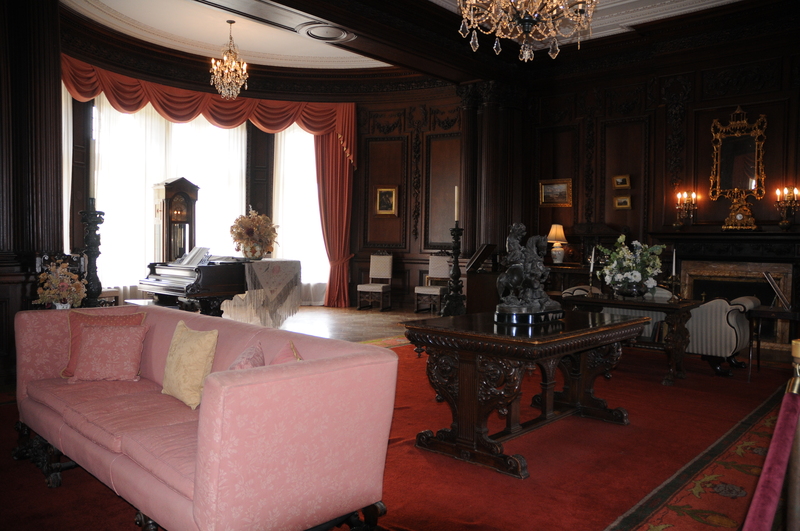 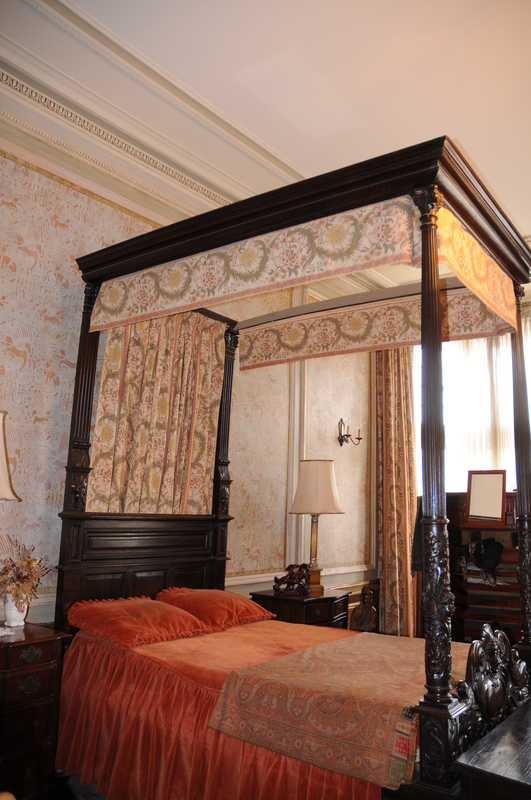 Sir Henry’s Suite: The walls are mahogany and walnut. 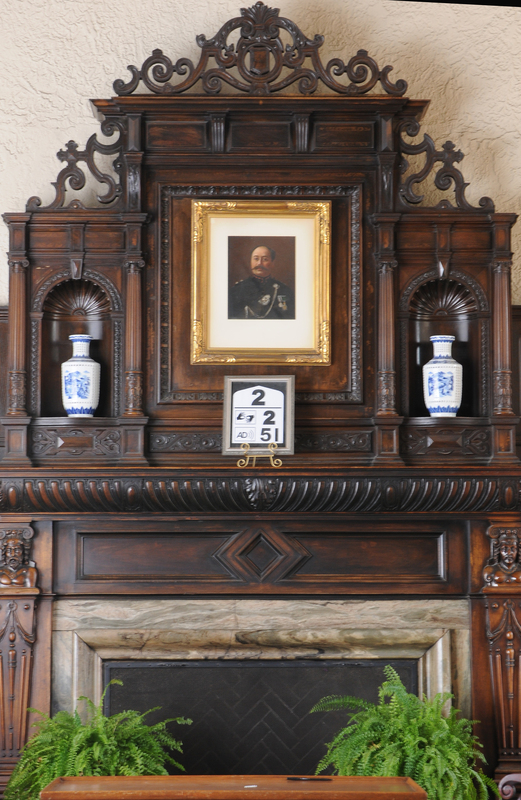 A secret storage area beside the fireplace was used to store confidential documents. 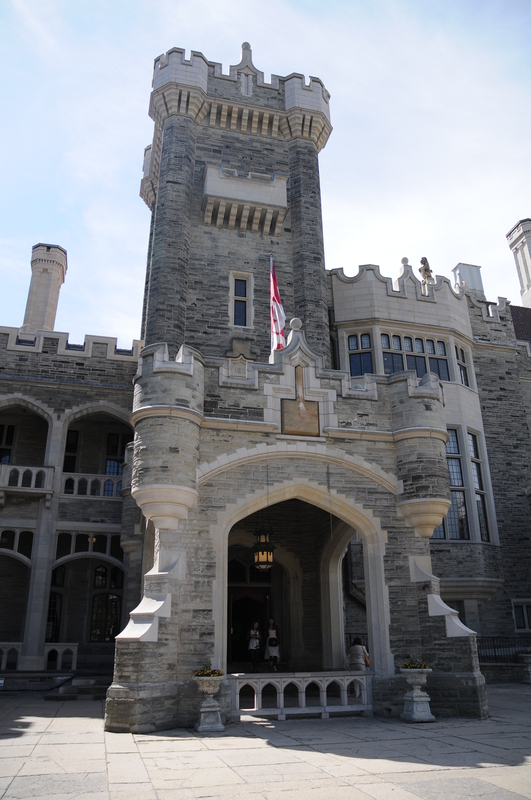 I really enjoy to visit Casa Loma. 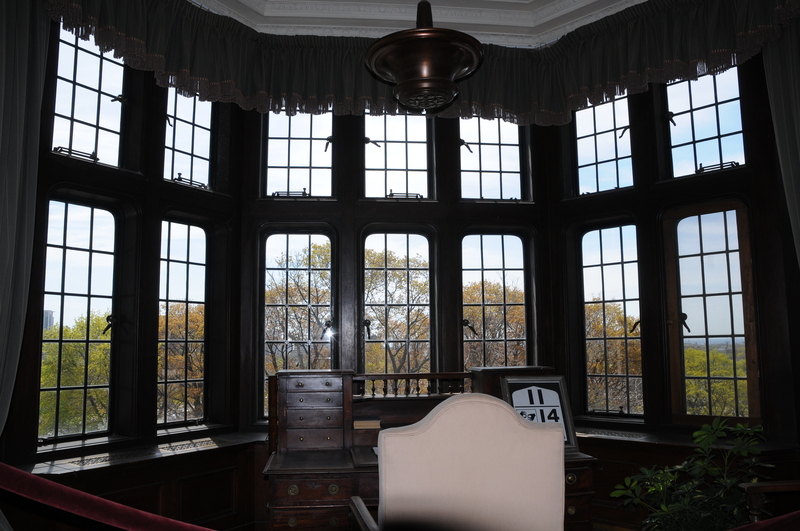 Visiting Casa Loma, as I traveled step back in time, feel the way Sir Henry Pellatt and his family used to live in such a luxurious and modern house in that era. 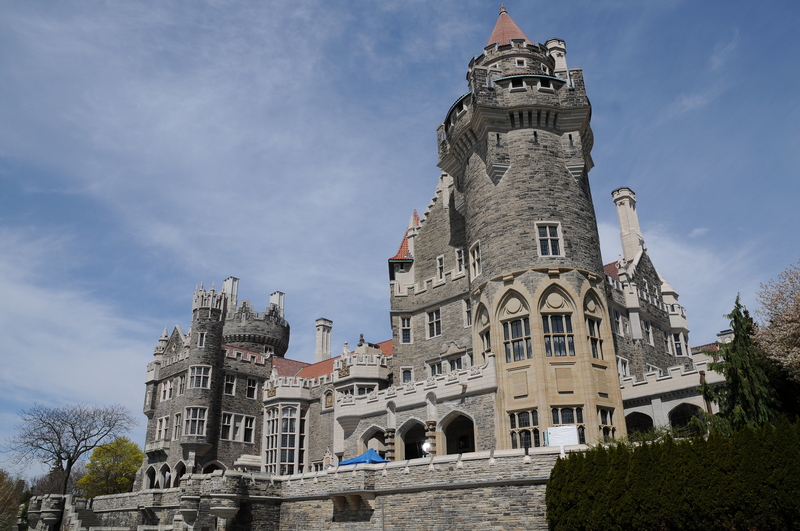 Thank you so much to Michael, who guide and take me to visit this Castle. 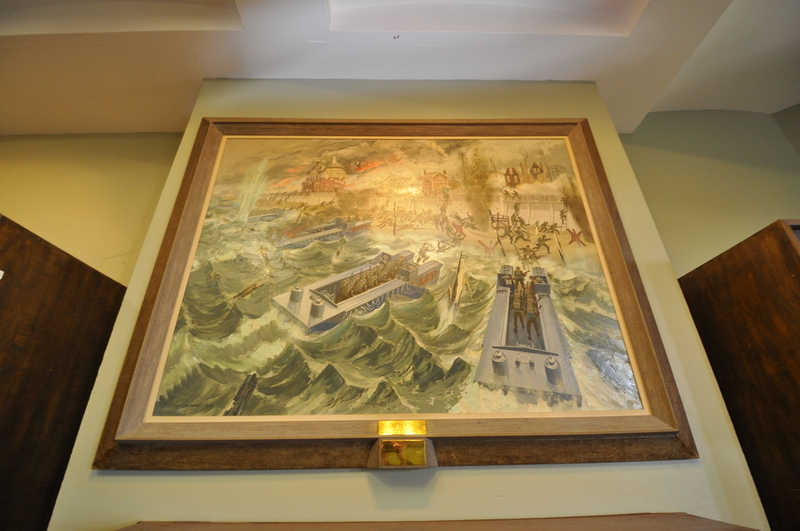 Most beautiful picture in this article is photograph by Michael Gunawan, on February 2011 and May 2011. 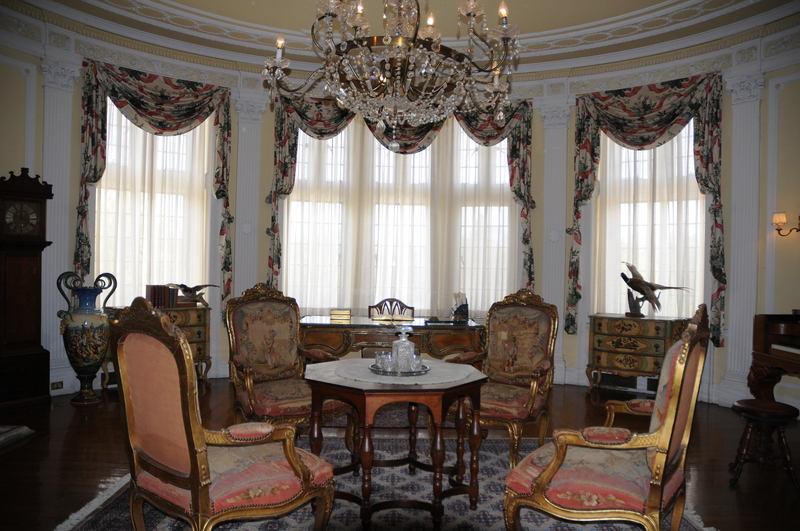 Located deep in the heart of Toronto, this is a majestic European style castle fully equipped with its luxury furniture and beautiful ornaments. 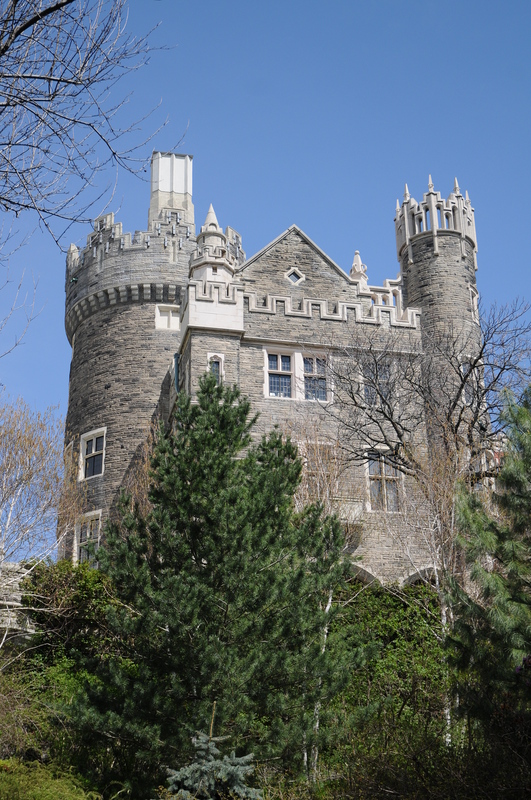 It is called Casa Loma (Spanish for Hill House). 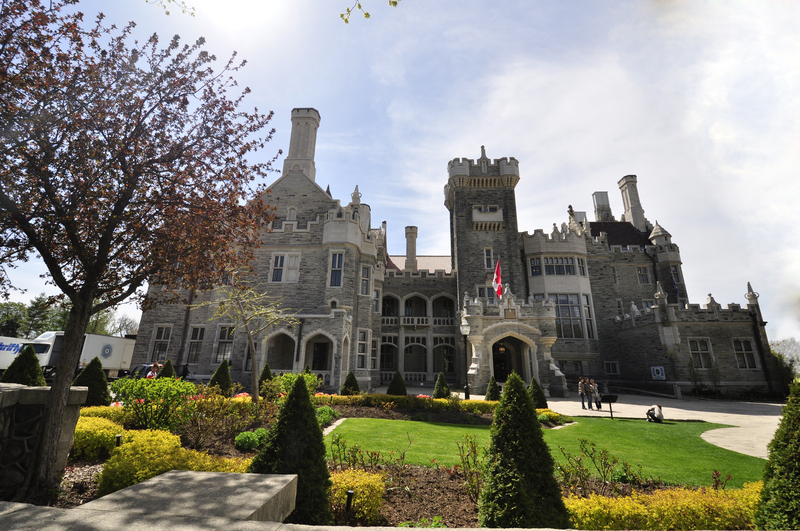 The Canada’s Majestic Castle, Casa Loma, an eccentric 98-room mansion- was build over 3 years since 1911, architected by E.J. 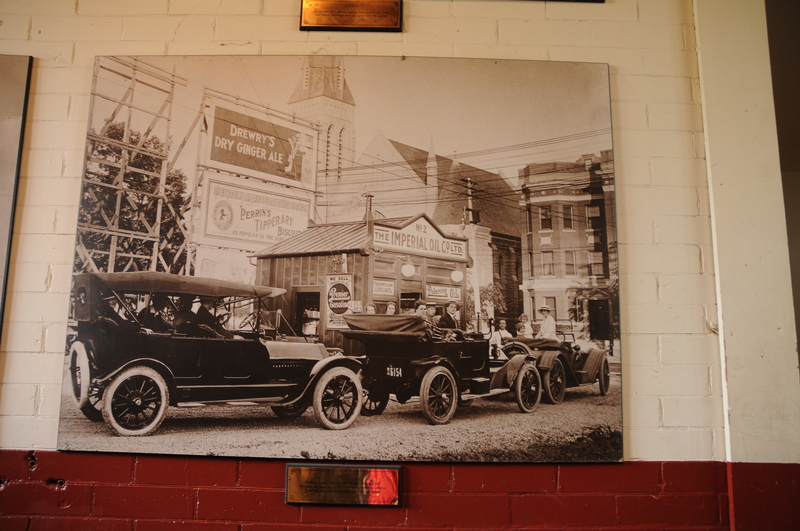 Lenox, who also designed several of city’s landmarks. 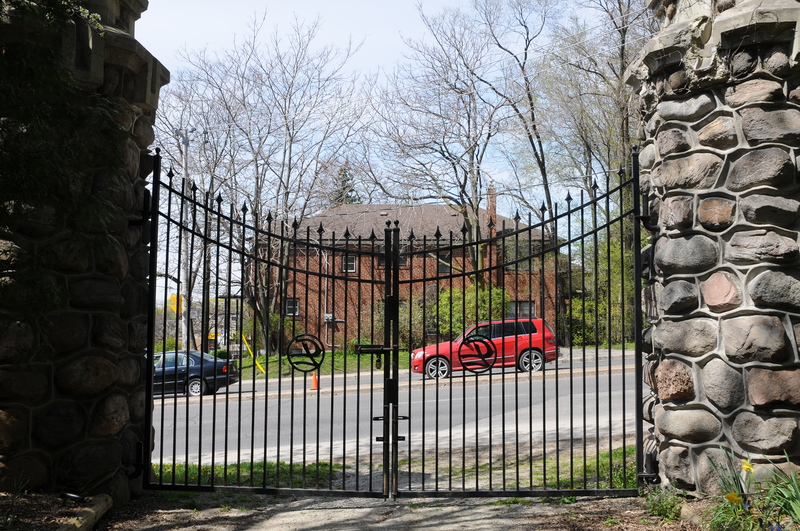 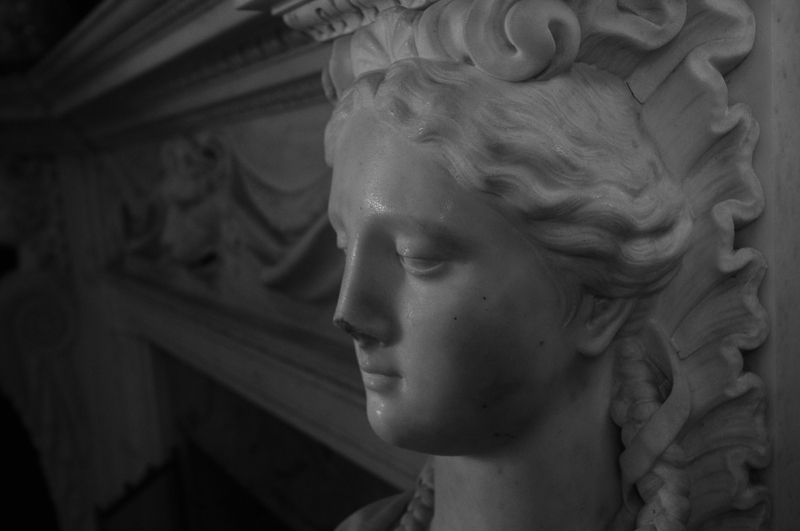 the former was Sir Henry Pellatt, an industrialist, military man, and a wealthy financier who make bags of cash to provide Toronto with electricity.He later lost everything in land speculation, and this misfortune forced him to abandon his castle home. 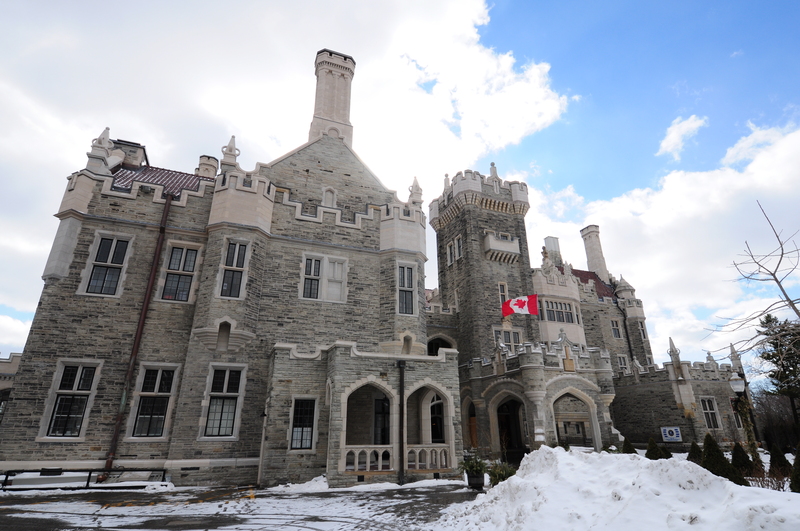 This Castle now is become a museum, landmark, and one of Toronto’s top attractions. 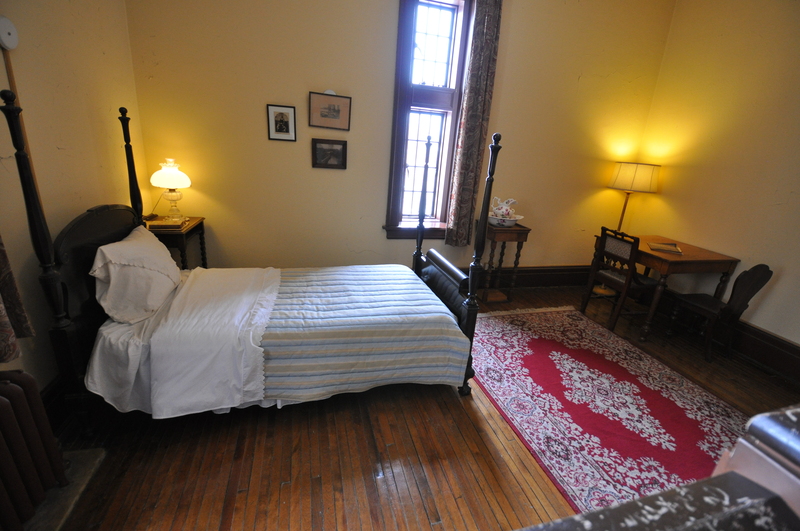 This Canada’s foremost castle is complete with decorated suites, secret passages, an 800-foot tunnel, towers, stables, The castle is open for visitors all year round, with the exception of its marvellous 5-acre gardens that only open in May through October. 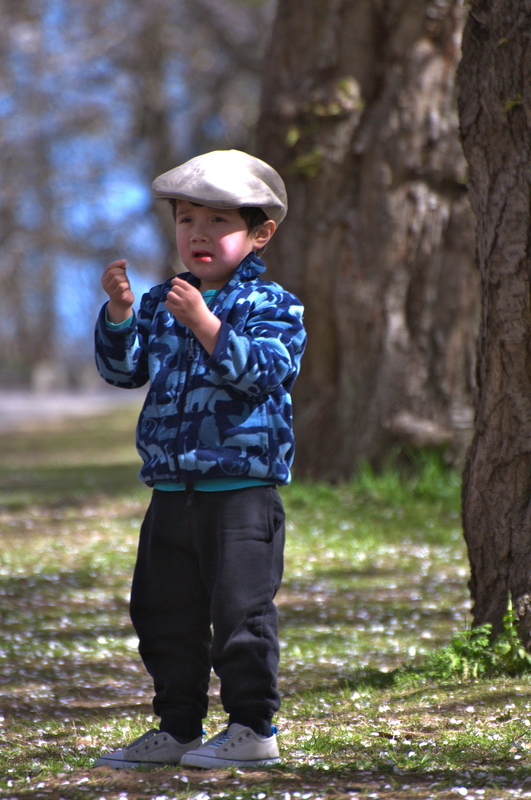 With the entrance fee of 20.55 $, we were provided with a self-guided multimedia tour that available in 8 languages English, French, Japanese, German, Italian, Spanish, Mandarin, Korean and American Sign Language, and a handy map that help us explore the castle by ourselves. 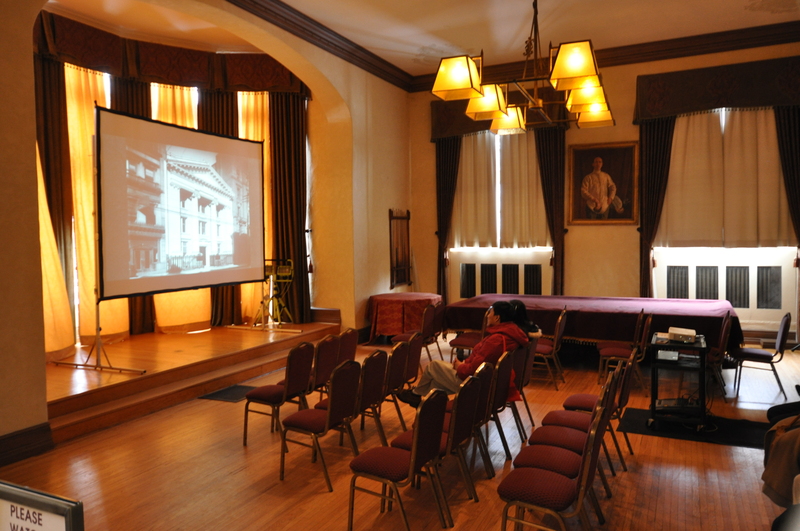 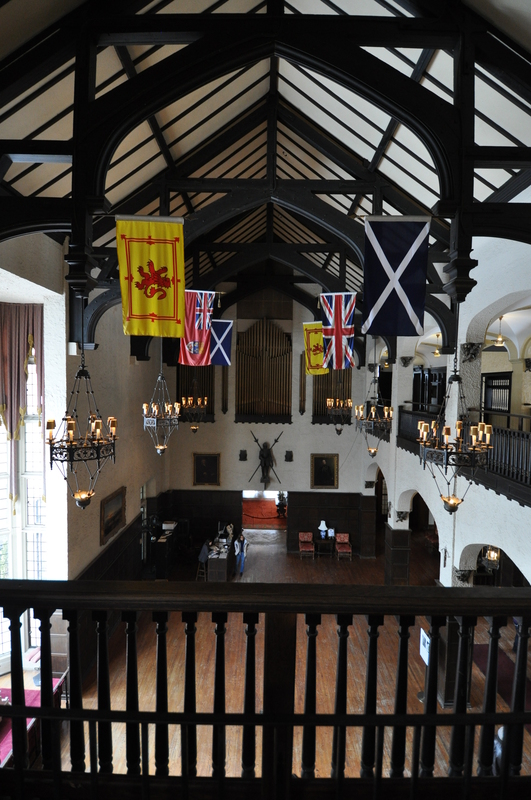 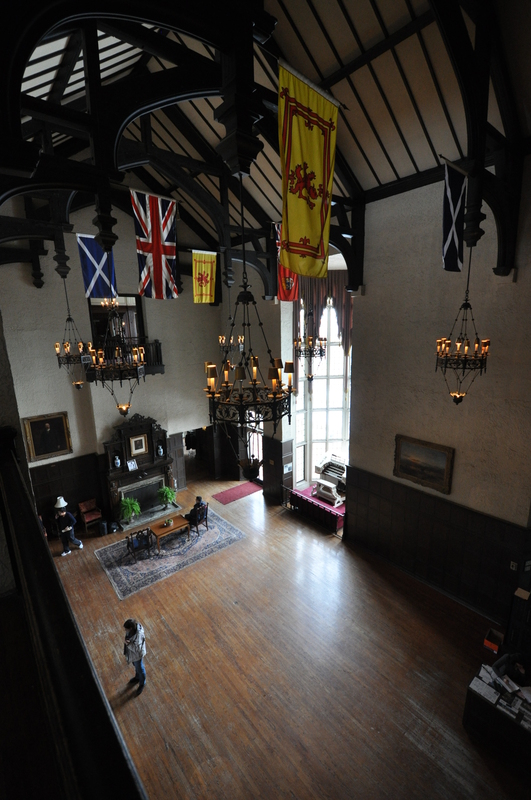 Great Hall: With its 60′ high ceiling, this room is a focal point of the castle. 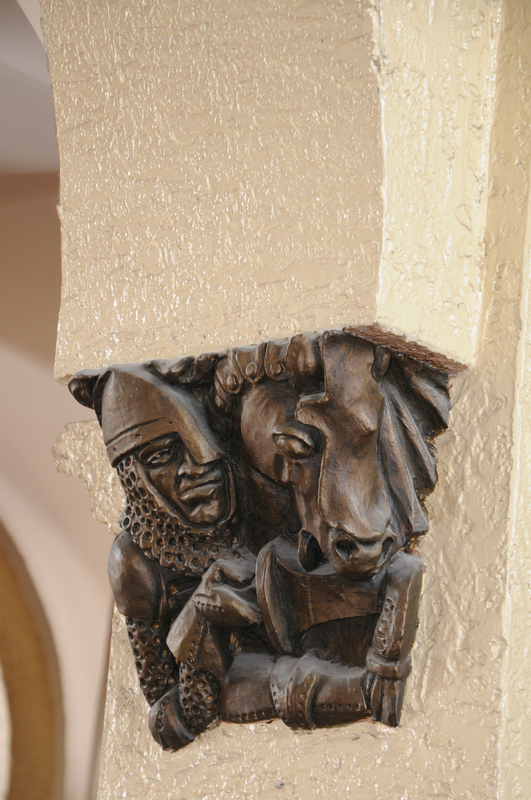 With the sculpted figures adorning the pillars. 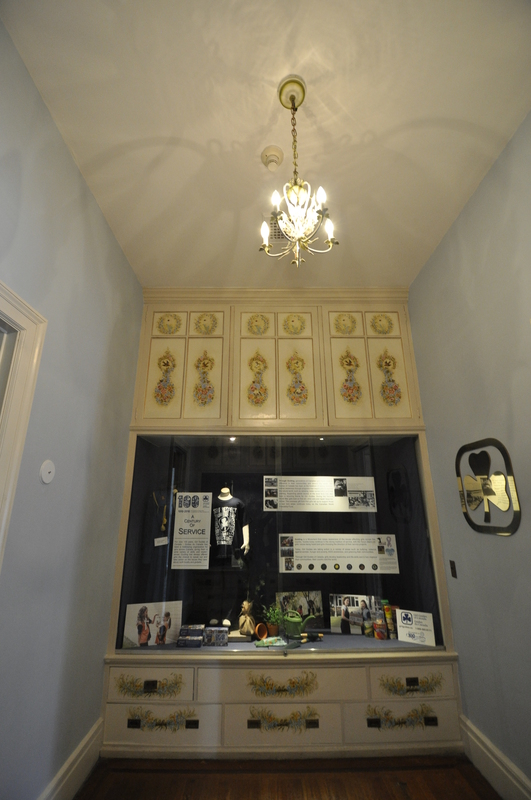 Peacock Alley: Modelled after a passageway in Windsor Castle. 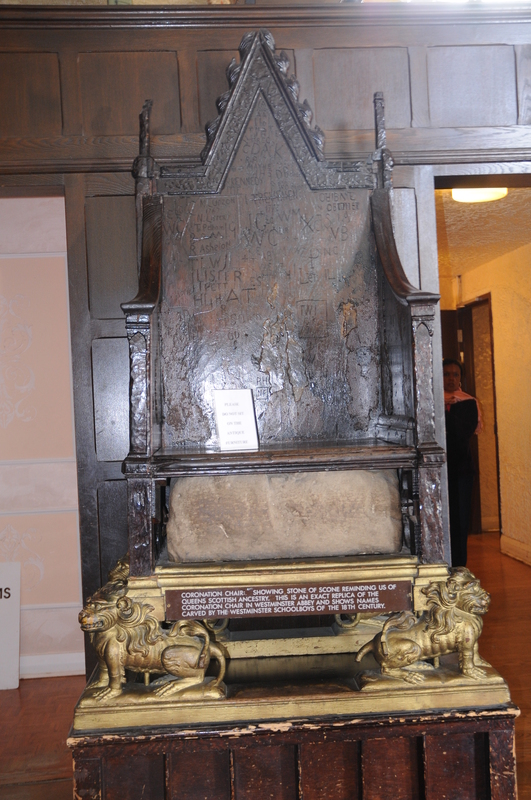 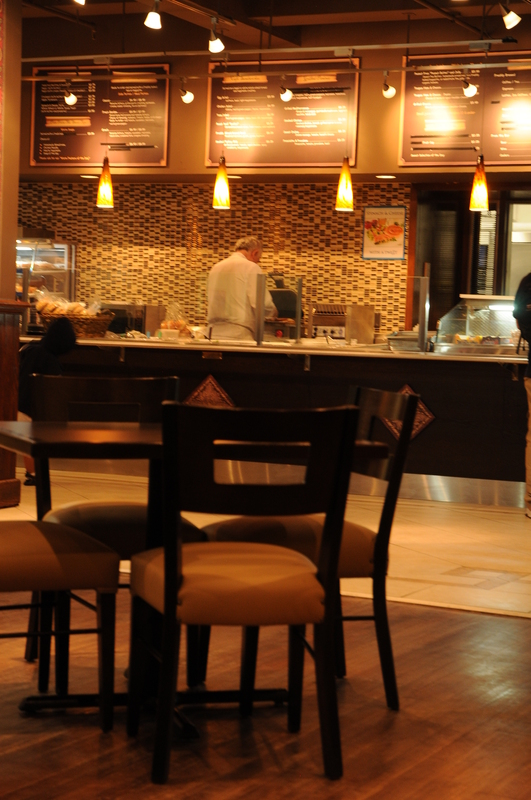 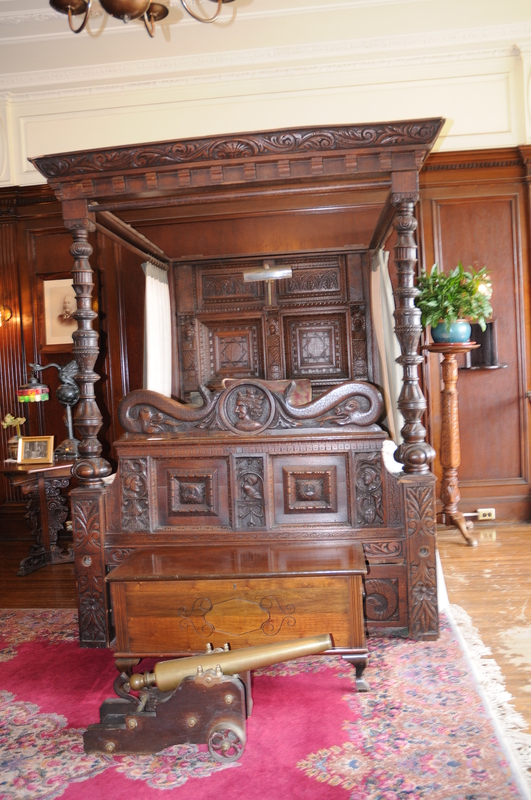 The walls are oak and the floor was teakwood. 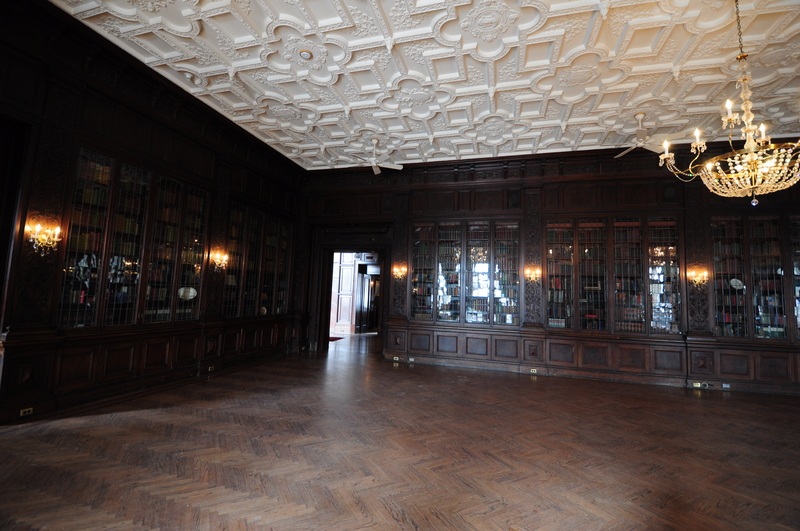 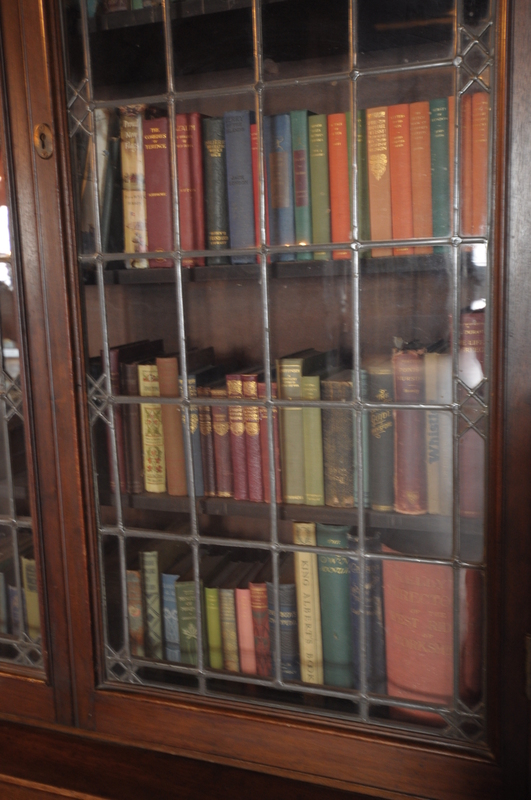 Sir Henry’s Study: The mahogany panels conceal a secret door on either side of the fireplace. 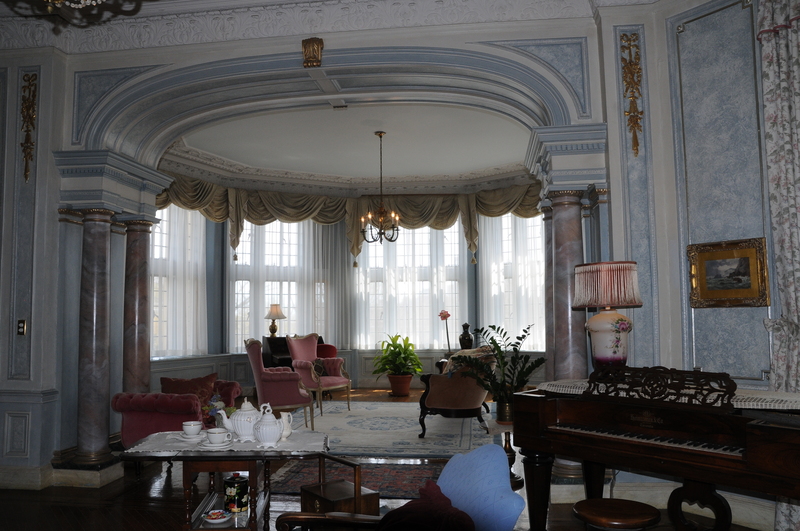 Smoking Room: Quiet games of chess or cards were enjoyed here. 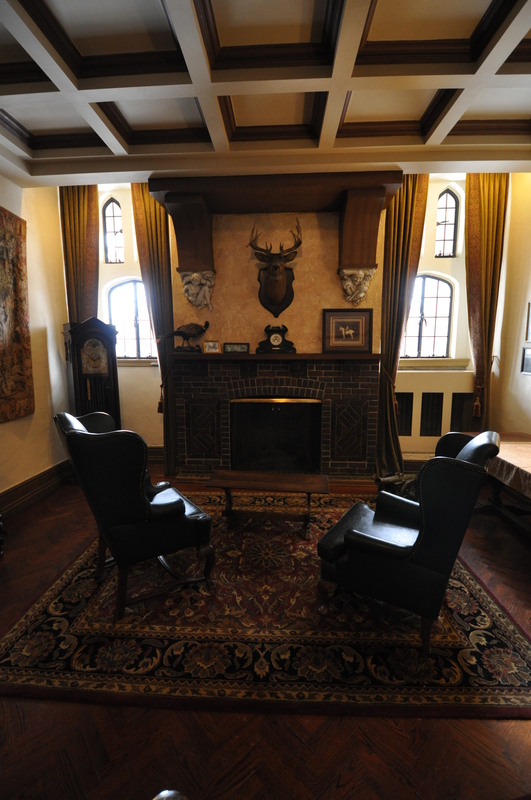 Billiard Room: Sir Henry and E.J.Lennox, the architect of Casa Loma, recorded a long running game of billiards in this room, we can see the films about the castle and its history.. 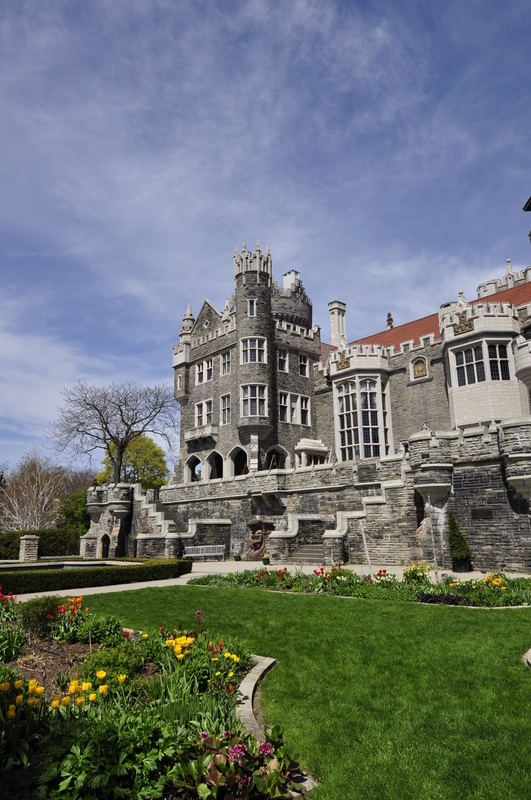 I really enjoy to visit Casa Loma. 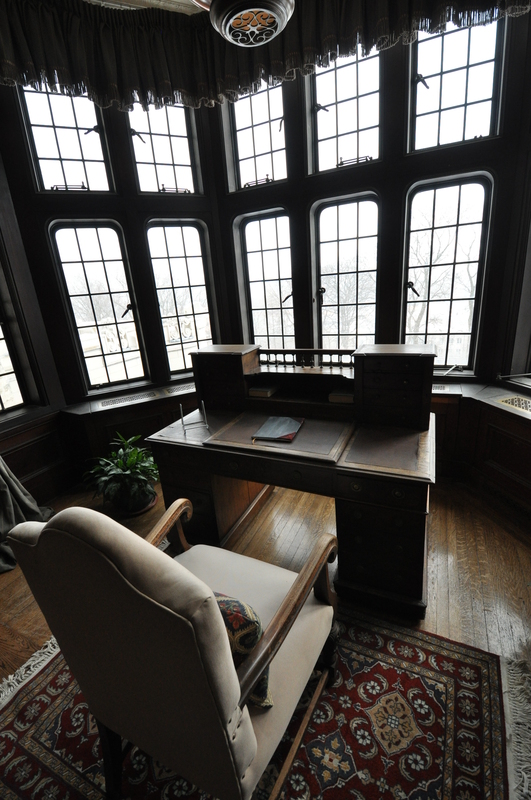 Visiting Casa Loma, as I traveled step back in time, feel the way Sir Henry Pellatt and his family used to live in such a luxurious and modern house in that era. 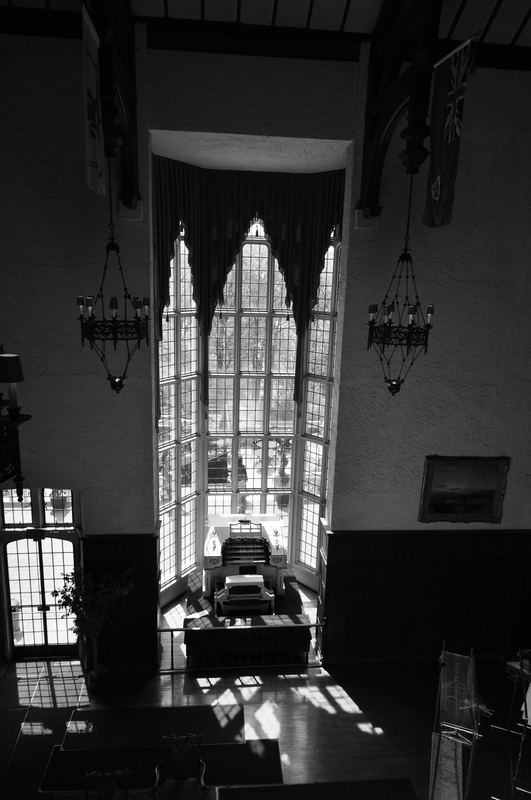 Thank you so much to Michael, who guide and take me to this Castle. 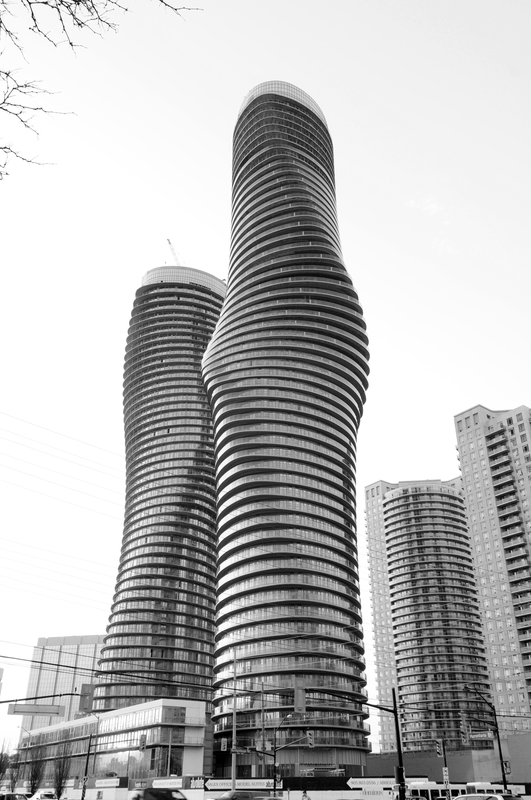 This Curvy residential condominium in Mississauga, Ontario, Canada Within days of the announcement, the building had been nicknamed the “Marilyn Monroe Tower” due to its curvaceous, and reference to her voluptuous figure hourglass, figure likened to actress Marilyn Monroe Standing at 50 and 56 storeys, these two skyscrapers will be the tallest of any built in a Canadian suburban city. 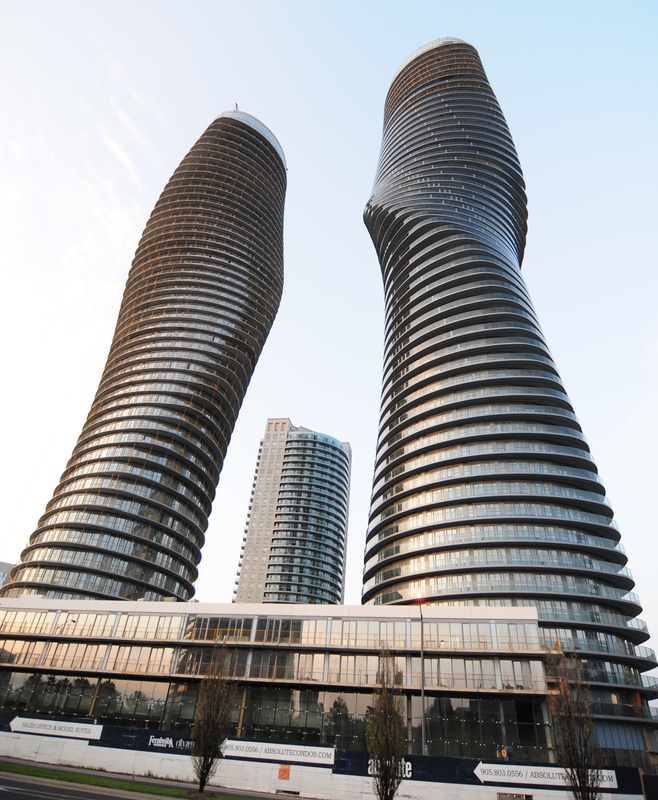 The two towers are also known as the ‘Condo Couple’.The residential towers fan out from a 30,000ft² private recreation centre. 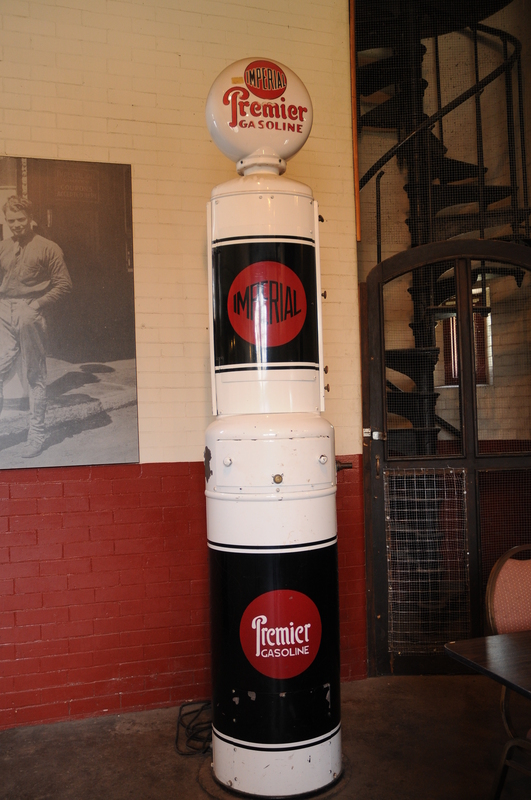 The tower turns 180° from the base to the top. 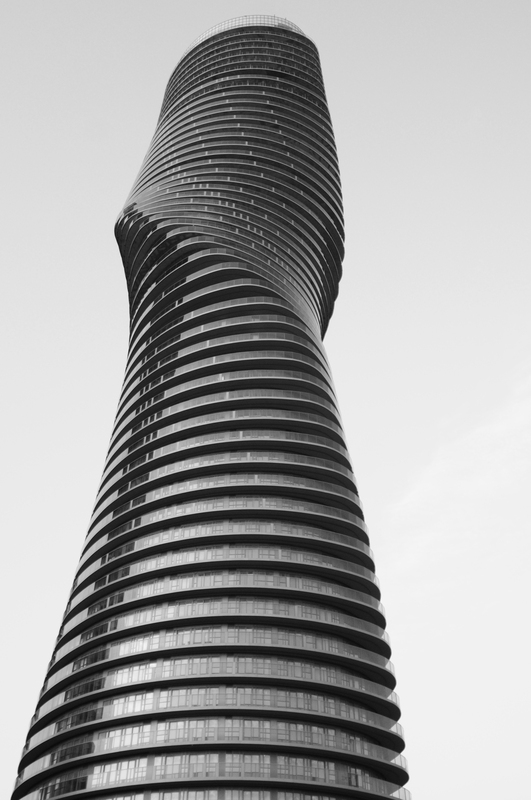 The Condo Couple will have a continuous balcony around the entire skyscraper in place of the commonly used vertical barriers. 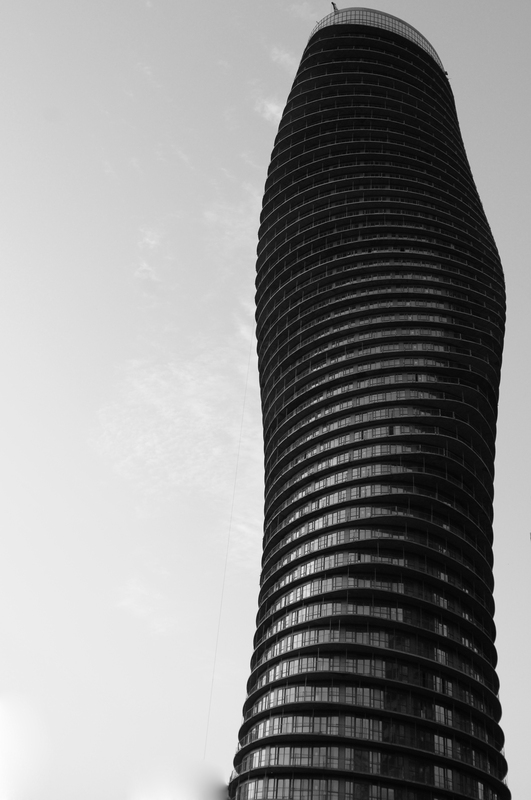 The building makes a different angle at different levels to provide a 360° view to each unit.